All the clients that have shared their stories, their lives, their inspiration and fears, while entrusting me to hold the responsibility of assisting them to figure out what life was all about. There have been so many changes in such a short space of time, including Qrops, Qnups, OPS and indeed UK tax and property changes. Biggest is perhaps the Guernsey Qrops restrictions in 2012, which opened the move for us to Malta. Keeping up with it all is a challenge but also an opportunity. Paul has worked in the financial services industry for over a quarter of a century, and presently operates as CEO of The Federation of European Independent Financial Advisers (Feifa) and secretary general of The European Federation of Financial Advisers and Financial Intermediaries (Fecif), two pan-European trade associations that support and assist the financial advisory sector. In addition, he runs a specialist consultancy business, which provides marketing, business development services and regulatory guidance for investment houses, trust companies, international pension providers and advisory firms. The global financial meltdown of 2008 and the business challenges this brought about: managing clients’ expectations as markets collapsed and product providers failed, while also ensuring the business remained safe and secure during this time. David has more than 30 years of experience in financial services. His technical background was in pensions, and he has been a Ssas pensioneer trustee as well as running personal and executive pensions. The Qrops Bureau was launched in 2009 as an independent specialist in international pensions planning. It was rebranded as QB Partners in 2017, initially through the launch of a trust and estate planning service, to recognise that the scope of services provided to advisers had evolved. Areas of influence: ‘Qrops has been a difficult market, with constant regulatory change, some bad press and some inappropriate advice being given. The Qrops Bureau has been influential in ensuring the advisers we work with have given their clients appropriate and correct advice, by providing the adviser with comprehensive support driven by clients’ needs in a complex area of planning. 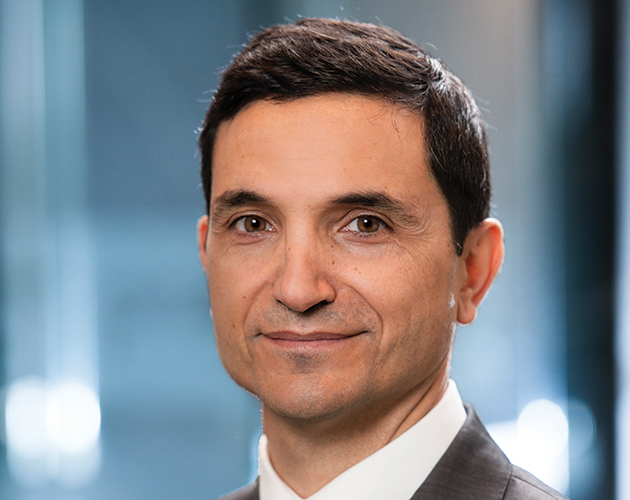 Originally from Buenos Aires, Argentina, Ariel began his professional career at Deutsche Bank. Prior to joining Investors Trust, he was at Biscayne Americas Advisers, an investment adviser based in Miami, specialising in emerging markets. At Investors Trust, he is responsible for global product distribution, the company’s product platform and the marketing department. Alan joined Standard Life in 1990. 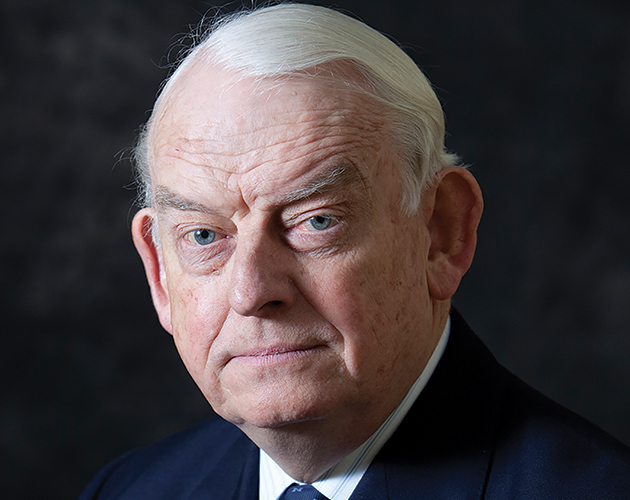 In 2004, he led the strategic review of the Canadian operations before spearheading the transformation of the UK life and pensions company in preparation for demutualisation and IPO. He was appointed acting general manager for Heng An Standard Life in China in 2005, and then to the position of CEO, Asia region, in 2006. He is a director of Standard Life (Asia), Standard Life Investments (Hong Kong) and Heng An Standard Life. David has worked in the financial services industry since 1973. He joined St James’s Place in 1991, was appointed to the board in 1997 and became chief executive in May 2007. He joined the founders of the company at the outset to establish the back office. 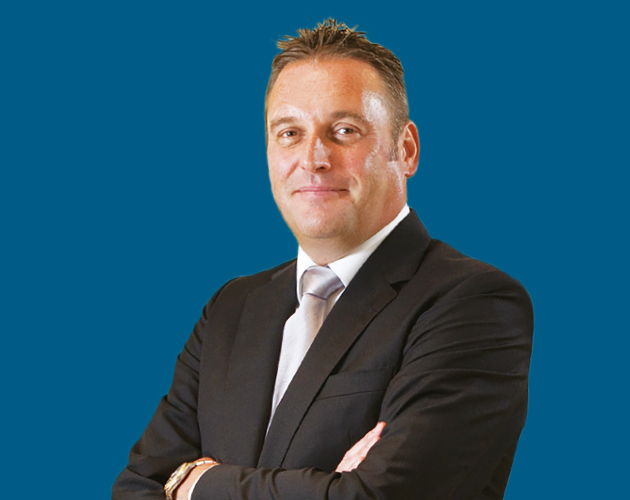 He has held several roles since then, including group operations director and managing director. He stepped down as chief executive at the end of 2017 and continues in a non-executive capacity overseeing the group’s interests in Asia. 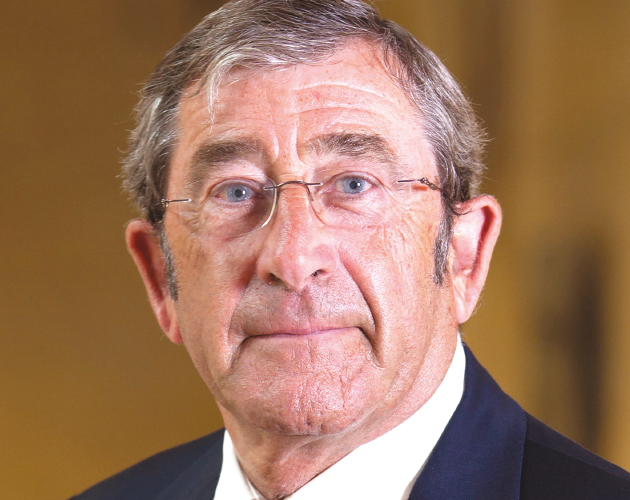 Founder and chairman of the IOMA Group, Robin has been based on the Isle of Man since 1975 and was instrumental in pressing for insurance legislation and regulation, leading to Isle of Man Assurance Management forming the island’s first registered captive insurance company in 1981. He was at the forefront of the formation of the Manx Insurance Association and is a former chairman. 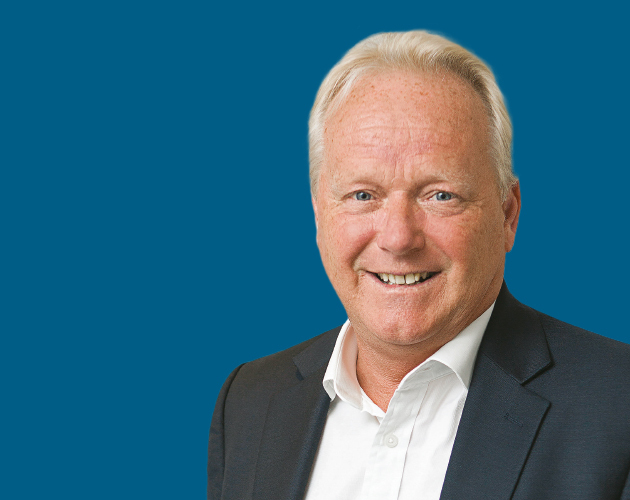 Phil is well qualified – ACII, CFP, FPFS, chartered wealth manager and a chartered financial planner – and has more than 35 years’ experience in financial services. He is a specialist in helping advisers cope with regulatory change and, to this end, he has worked with planners from Australia to the US. At Perceptive Planning/World Citizens Financial Planning, he mainly works with clients who find themselves with assets and lifestyles across different jurisdictions. Austin’s early career was in technical engineering and corporate finance sales in Europe and the US. 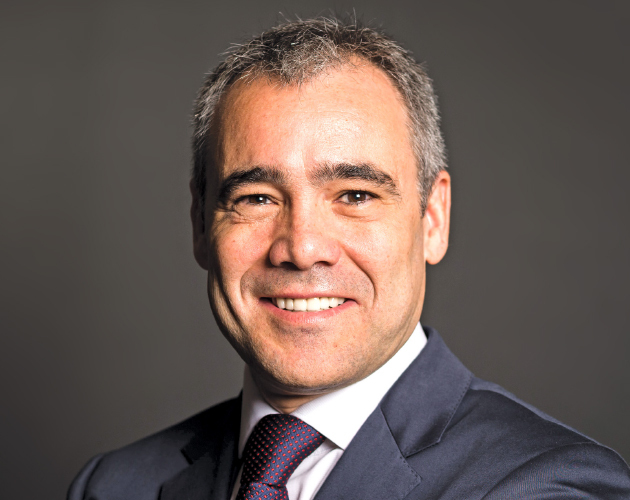 In 1998, he became director of sales for a division of Fairgill Investments, then the largest private venture capital fund in the southern hemisphere, moving up to divisional general manager of Europe in 2000. He subsequently joined the Devere Group then Providence Life. In recognition of the growth of Providence Life, he became CEO for the Providence Holdings Group in 2014. Areas of influence: ‘I am most proud of driving the set-up of Providence Life and building a talented team around me. From day one of our operation, I have been passionate about creating an internal culture that supports the development and growth of all of our employees. As a lesser-known brand, with measured risk we have become a viable alternative to customers and distributors in markets where other brands have withdrawn. 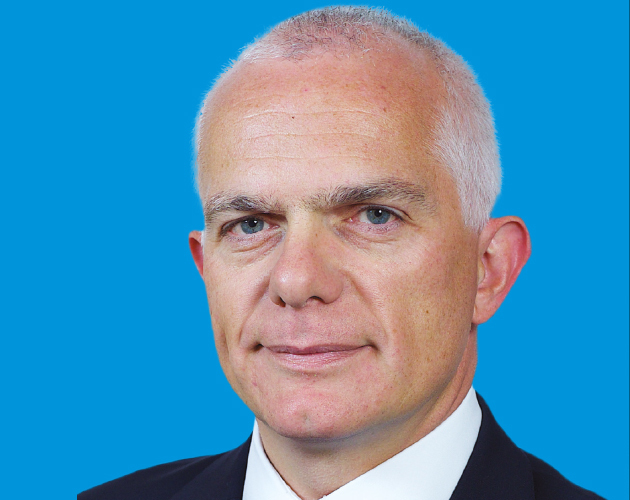 Evelyn was appointed group CEO at Bupa in April 2016. She is also a member of the Bupa board. 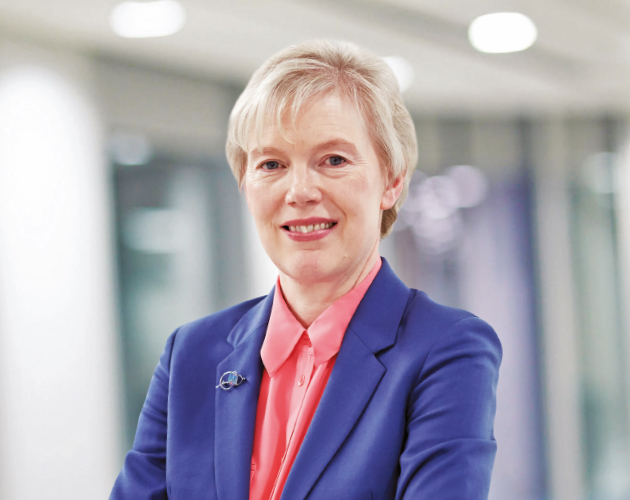 She joined Bupa as CFO in September 2012 from Friends Life, where she was chief executive officer of its heritage division. Scott began his career with AMP Group in New Zealand in 1989, before joining Appleton in 1996. 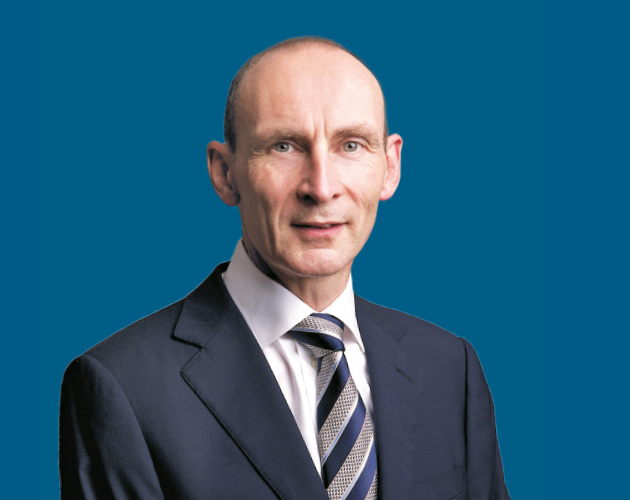 He was appointed managing director of Appleton International London in 2000. He achieved a five-star ranking and awards from Standard & Poor’s for the management of several of the Appleton range of offshore funds. In 2002, he set up what is now MitonOptimal Guernsey and leads the development of the MitonOptimal Group of companies. 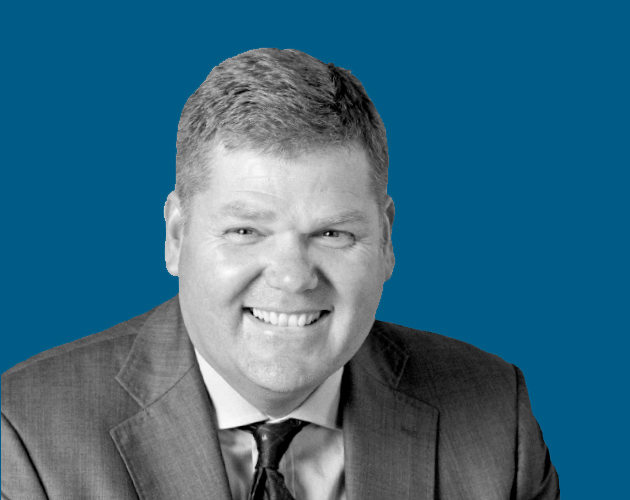 Areas of influence: ‘In the early days, I was at the forefront of global multi-asset investing and the blending of portfolios that have utilised both traditional and alternative asset classes. Frank is the chief marketing officer at software firm Financial Risk Solutions, a company dedicated to building fund Investment administration systems for the life assurance industry and oversight software for the life and investment management industries. He oversees marketing, client relationships and upgrades. Neil has worked in financial services for nearly 20 years, 15 of which have been at RL360. 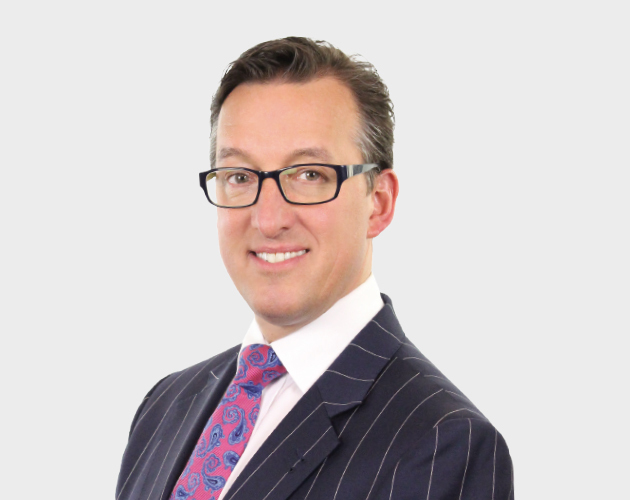 He is Society of Trustee and Estate Practitioners qualified, sits on the board of Step Isle of Man and also chairs the Manx Insurance Association’s Technical & Policy Committee. 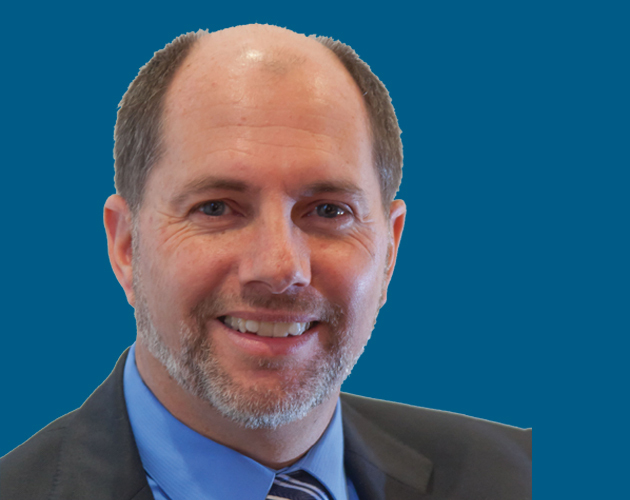 Tim has more than 31 years’ experience in investment management. His primary role is to manage portfolios on behalf of a diverse range of clients including private individuals, charities, trusts and companies. He is head of international and head of Quilter Cheviot Jersey. He is also a member of the Quilter Cheviot executive and strategy advisory forums. He is a chartered fellow of the Chartered Institute for Securities and Investment and Chartered Wealth Manager. Areas of influence: ‘My role has two components: investment management and management. As an investment manager, I look after a very varied client base, predominantly comprised of globally based private clients. I am also responsible for a fast-growing office as well as the expansion of Quilter Cheviot International. 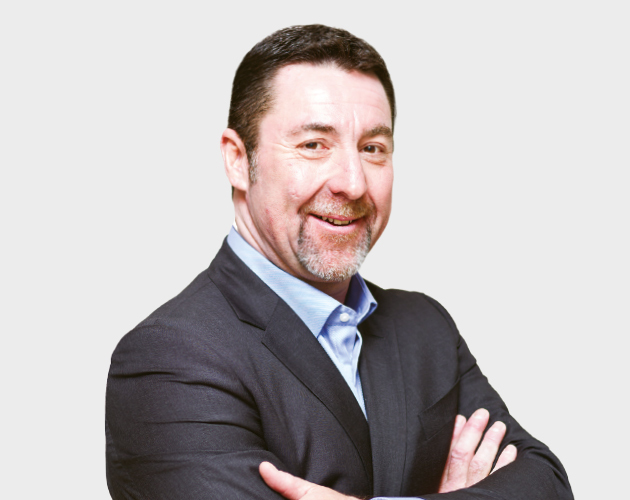 Sean is the managing director of Canada Life International (CLI) and a member of the Canada Life UK executive team with responsibility for the group’s international businesses located in Dublin and the Isle of Man. An accountant by profession, his career began in 1993 at Eagle Star International as a trainee accountant, after which he went on to hold senior finance roles. In 2005, he moved to CLl as CFO, joining its board as finance and operations director in 2007 and taking over as managing director in 2008. Areas of influence: ‘We have created a market reputation for leading on product development. Over recent years we’ve delivered a market-leading trust solution for our customers’ estate-planning needs. We were the first to launch a fully open-architecture capital redemption bond in Dublin. ‘Our approach to redesigning processes around the customer and reorganising our business to align with their needs is raising service standards in the market. Andrew set up Prosperity in 2009 having worked in the financial services industry since the mid-’80s. He has held senior managerial positions with Fortune 500 blue chip companies working in the UK, Europe, Far East and Middle East. Having spent the past 20 years in the UAE, he has first-hand personal experience of life in the region and a wealth of knowledge on expatriate and UAE living. Areas of influence: ‘Having worked in the UK through regulatory changes in the late ’80s and early ’90s, I gained valuable knowledge and understanding on the implementation of new compliance processes, commission disclosure and KYC. As CEO of Jersey Finance since 2007, Geoff works closely with governments, regulators, financial professionals and investors, to promote the island’s award-winning finance industry, while highlighting legal and regulatory developments, as well as innovations in products and services that make international trade and investment easier to do. He has a strong career background from the London banking world, having held senior-level roles in wealth management and financial planning. 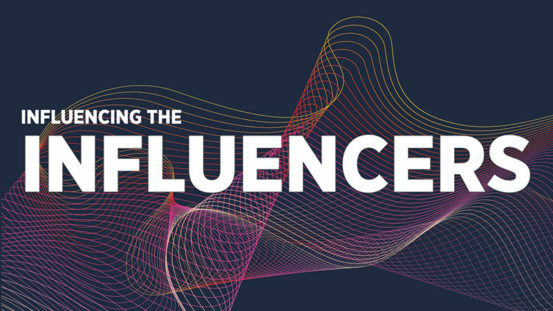 Areas of influence: ‘In addition to leading Jersey Finance-hosted events, bringing together industry professionals, politicians and regulators to provide an open forum for debate, knowledge sharing and networking. I also speak at and contribute to conferences and seminars around the world. ‘In particular, we have been instrumental in promoting and developing the key sectors of Jersey’s finance industry: funds, banking, private wealth and capital markets. 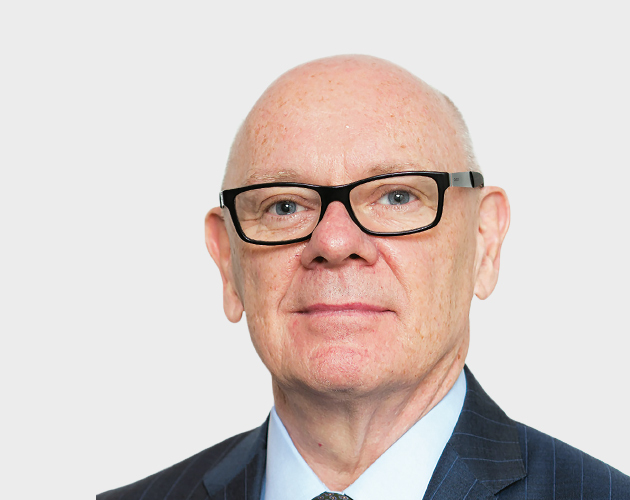 With over 27 years’ experience in the wealth management industry, of which the past 14 have been at board level, Rex has held chartered status with both CISI and CIM. He has worked for a range of leading brands, including Close Brothers, JP Morgan, Prudential, Sanlam and RBC. Areas of influence: ‘In 2006, I developed what was arguably the first globally portable international multi-member personal retirement plan for the expatriate markets. This was recognised by two separate independent awards for innovation and excellence. In 2008, this product configuration became the gold standard for international personal pension funds and ultimately opened the multibillion dollar UK pension transfer Qrops market. Matthew has more than 20 years’ experience in Asia and founded AAM Advisory in 2009. AAM is Singapore’s largest expatriate-focused financial adviser, with assets under advice of over sgd1.1bn and more than 30 advisers. It was acquired by OMI in 2016, making it the first regulated non-UK adviser to be acquired by a major provider and proving a well-run, regulated and recurring revenue-focused financial adviser has value in the international world. AAM has doubled in AUA since the acquisition. Areas of influence: ‘Since launch, AAM has had a recurring revenue focus, with total transparency shown to the advisers on all shared revenue. Recurring revenue is more than 50% of total income. 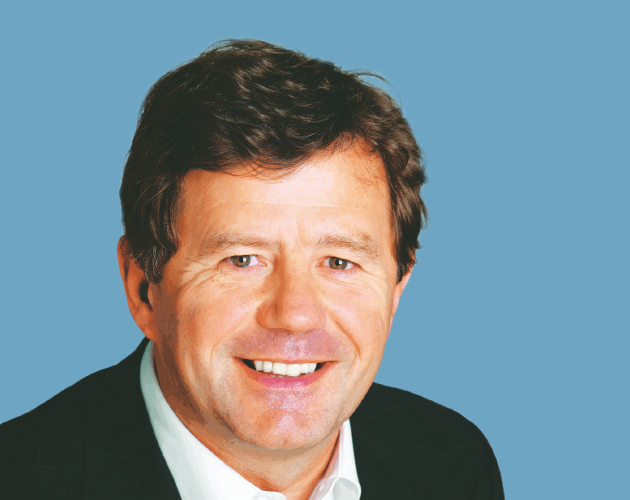 Giorgio joined the Generali Group in 1980 and was posted to its London office. In 1993, he was appointed chief underwriter (non-life) with responsibilities for the UK branch, Dubai and Singapore offices. He left the group in 2002 to join PWC as a director in corporate finance/business recovery. He then rejoined the Generali Group in 2005 as MD for Europ Assistance UK. In 2010, he rejoined the UK branch as vice-president life and healthcare. He has been CEO of Generali Worldwide since June 2012. 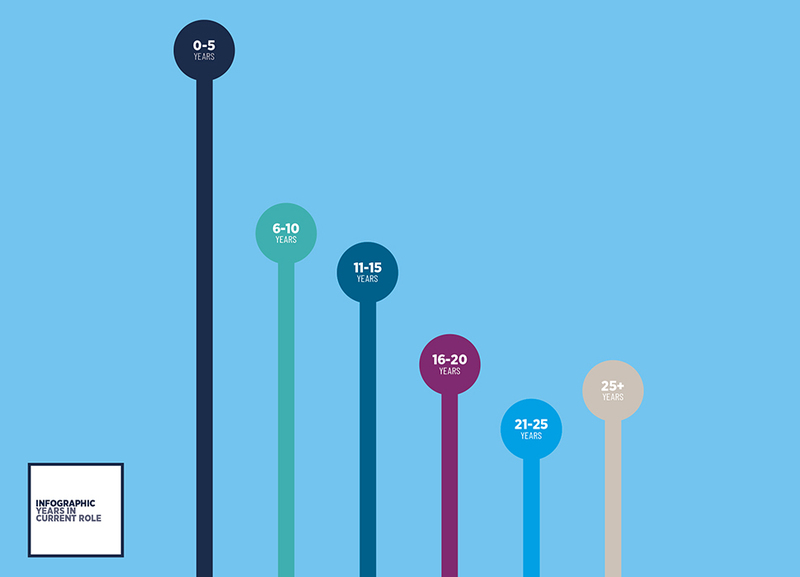 Areas of influence: ‘My experience over the past 38 years spans most areas of insurance and reinsurance. Technical underwriting and actuarial work (non-life reinsurance) were the focus of my work in the early years in London. ‘During my stay at PWC, I dealt with different projects assessing reinsurance structures, run-off plans and schemes of arrangement. At Europ Assistance, I dealt with assistance, underwriting and operations but also handling governance issues with the then new risk-based FSA regulations. Geraint forged his career in Australia and has operated in the industry for more than 35 years. Returning to the UK in 1991, due to his own emigration experience he recognized a space to pioneer cross-border solutions for individuals as they move around the world. Montfort was established in 1995 as the first UK-based IFA firm to specialize in global financial and retirement planning. Geraint has notably worked with HM Revenue & Customs to develop solutions such as Qrops to facilitate overseas pension transfers. Areas of influence: ‘Pioneering cross-border solutions for individuals as they move around the world. Immersing myself in the UK, Australia and global pensions system enabled me to develop solutions such as Qrops and Rops with HMRC, and more recently in the highly complex defined-benefit pensions sector. 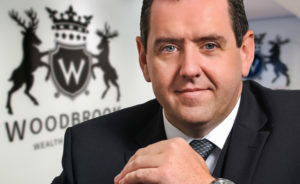 Michael set up the Woodbrook Group five years ago and since then the 45-year-old Irishman has led the company through a period of sustained international expansion. Woodbrook’s reach now extends across the globe, with offices in Cyprus, Hungary, Spain, Switzerland, Poland, Romania and Vietnam. Its services include investment and wealth planning, Qrops, Sipps, trust and trustee services, accounting, audit and legal services, and company formation. Areas of influence: ‘I have been fortunate to amass a wealth of experience working at a senior level across the financial services sector. Before establishing the Woodbrook Group, I worked across Europe, Russia and the UAE, including various roles as CEO, country manager, managing partner and financial consultant. 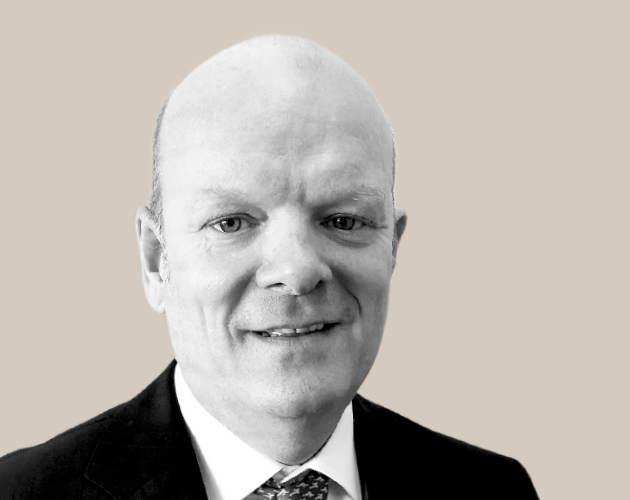 Brendan is responsible for the development and expansion of Old Mutual International’s core markets in Latin America, Europe, Middle East and Africa, Hong Kong and Singapore. 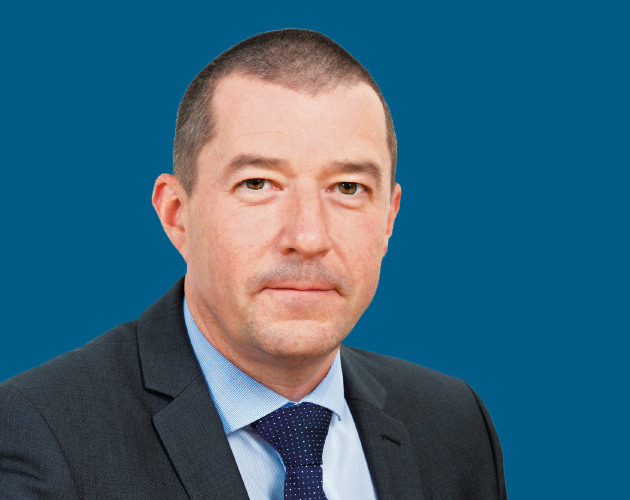 Brendan joined Old Mutual in 1991 and has more than 34 years’ experience in international and offshore financial services, holding a variety of senior positions. 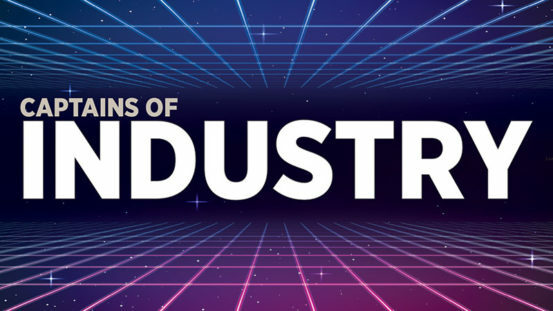 Areas of influence: ‘Developing products that lead the industry and truly meet customers’ needs has always been my focus. In 2016, we noticed a change in customer habits as the older regular premium products began to fall out of favour. ‘Many people’s incomes have become less predictable and their savings habits have changed in turn, meaning they don’t necessarily want to be tied to a rigid product. Vincent has been in the financial services industry for 29 years. After 13 years with Great Eastern and Prudential, he co-founded Financial Alliance in 2002. 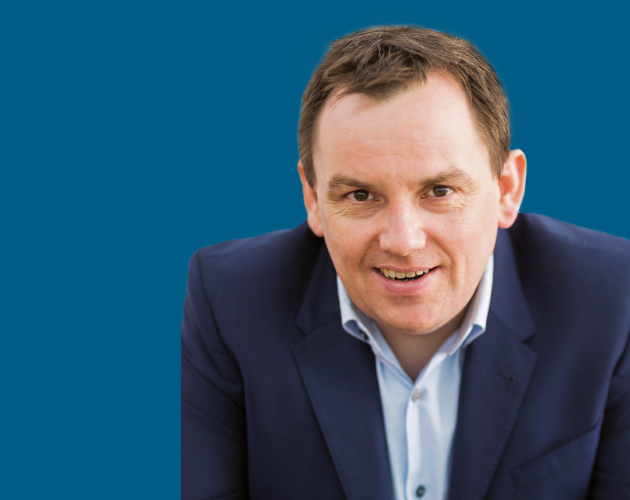 In his 16 years as the CEO of Financial Alliance, he developed the IFA firm to empower its 350 financial consultants to offer unbiased and independent financial advice, backed by 50 management and support staff. 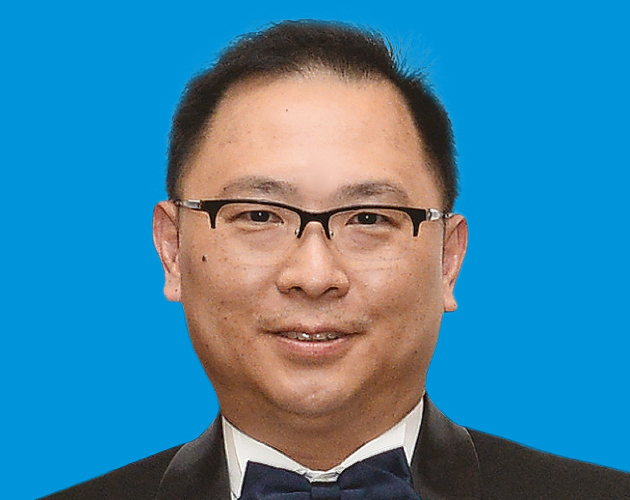 He served two terms as president of the Association of Financial Advisers (Singapore) from 2013-17. Areas of influence: ‘Establishing an IFA firm that stands out in the industry for staunchly offering sound independent advice not unduly influenced by product providers’ incentives and quotas, and successfully creating a platform that draws like-minded practitioners to flourish. Paul founded IVCM more than 12 years ago and has since built the company into a leading global pension brand, helping advisers and clients with the complexities of international retirement planning. 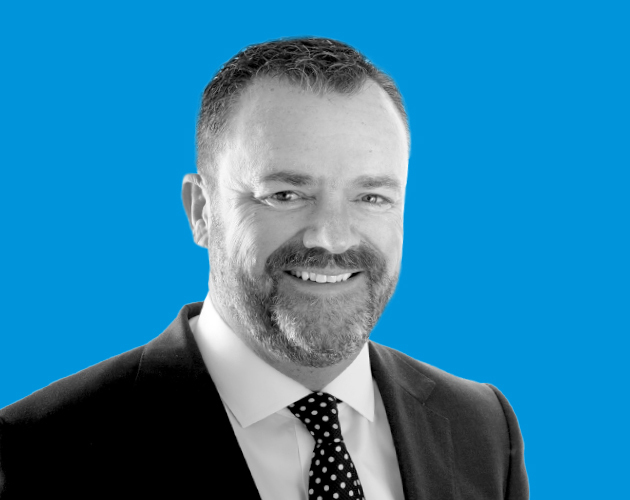 He has been in the pensions industry for more than 20 years, gaining experience in a variety of leadership roles and across most types of pensions, including self-administered and defined-benefit schemes. 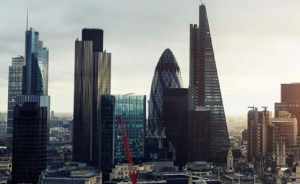 Areas of influence: ‘I have pioneered the use of multi-jurisdictional Qrops along with a UK Sipp for international pension planning and have been at the forefront of interpreting each of the legislation changes, what the changes have meant for each jurisdiction and identifying the opportunities. 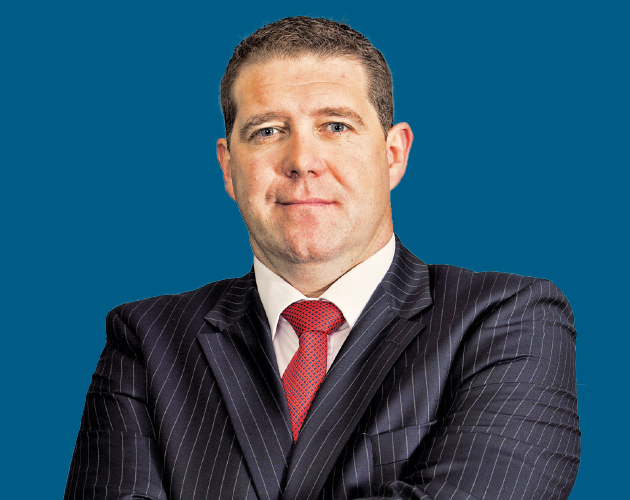 Craig established Carrick Wealth in 2014 with the vision of creating an innovative, customer-centric company that sets the benchmark for wealth management in Africa. A respected financial professional, he is also an advocate for sustainable philanthropy – long-term financial solutions that provide a hand up, rather than a hand out to disadvantaged communities. He is co-founder of Signature of Hope Trust, a non-profit organisation, which is the CSI (corporate social investment) arm of Carrick Wealth. Areas of influence: ‘I have pioneered offshore wealth management in Africa, providing opportunities for greater wealth for Carrick’s clients. It is a challenge that has inspired others to join the company. 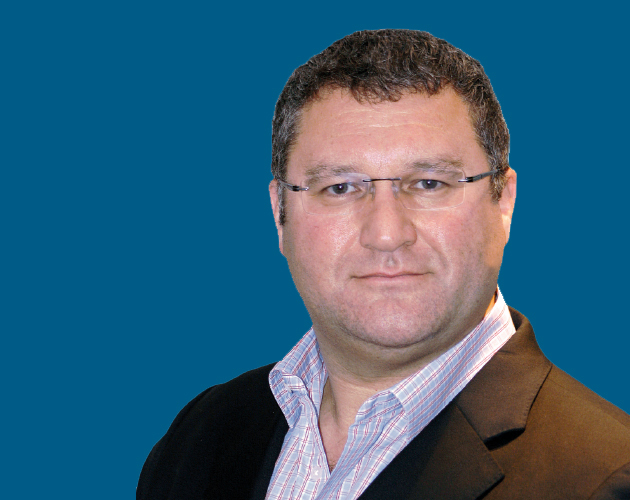 David co-founded Nucleus in 2006 and has been the chief executive ever since. Before that, he was a director of Abacus Financial Marketing. He started out as a trainee actuary with Life Association of Scotland, before joining Ivory & Sime and what was then known as Scottish Life International. He has been a fintech envoy for Scotland for HM Treasury since December 2016 and is also the chairman of Fintech Scotland. Ashwin started his career in the domestic life and pensions industry. 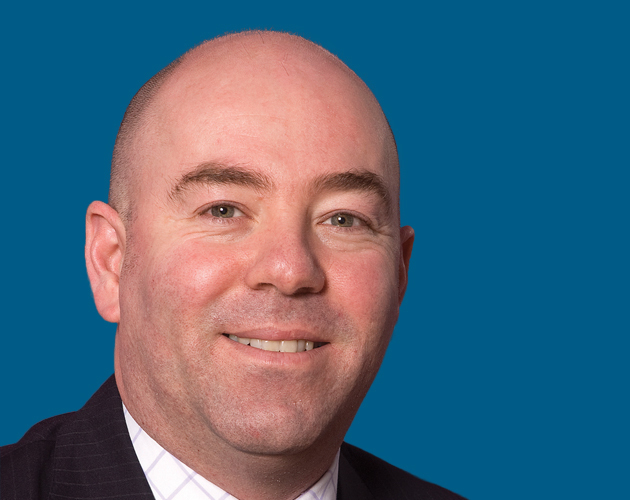 After working with one of the big four Australian banks in strategy and M&A, he moved to NMG Consulting in 2004. He is responsible for NMG’s Global Strategy consulting practice, with a focus on the high net-worth segment, platforms, the asset management, protection business and broker and bancassurance channels in the UK, South Africa, south-east Asia, Australia and New Zealand. Areas of influence: ‘NMG’s studies in the independent advisory market across markets (including covering international advisory firms in the GCC and Asia over the past 10 years) have helped insurers, platforms and asset managers to better understand and quantify distribution franchise quality and to develop strategies to lift franchise quality over time. After leaving the UK for Latin America in 1991 for six months to a year, John has been there for over 25 years. He founded Global Index International, which is now operating worldwide, and became president of the British Chamber of Commerce along the way. Areas of influence: ‘Creating a client-orientated service company, even going to the lengths of developing our own software (Globex) to deliver. Brian runs a coaching and consulting business that helps forward-thinking financial planners to create and deliver an experience its clients are willingly paying for. He has more than 30 years experience as a financial adviser and is also an author, international speaker and challenger of the status quo. 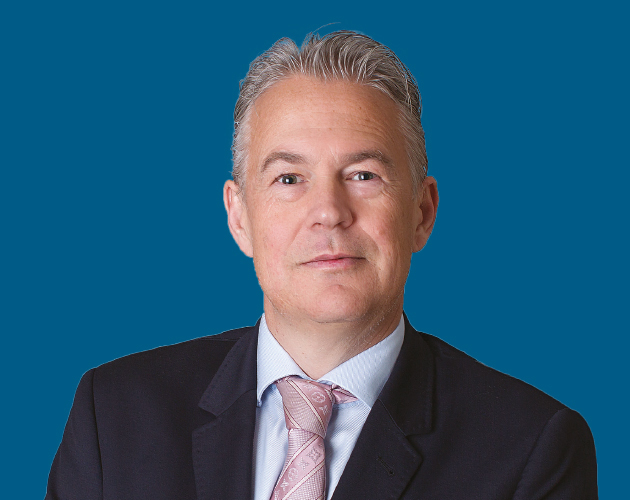 Wouter is an advanced financial planner, with more than 21 years’ experience in the field of comprehensive financial planning and wealth management. He is also a professional accountant with qualifications in advanced taxation. He won the 2015/16 FPI Financial Planner of the Year award, which honours the most proficient professional financial planner in the profession in South Africa. Areas of influence: ‘I received special recognition from the Financial Planning Institute of South Africa’s CEO Godfrey Nti, for volunteering and voluntary contribution to help raise the level of professionalism of financial planning in South Africa, as well as building a strong sense of community within the financial planning profession. I am actively involved in financial literacy education. 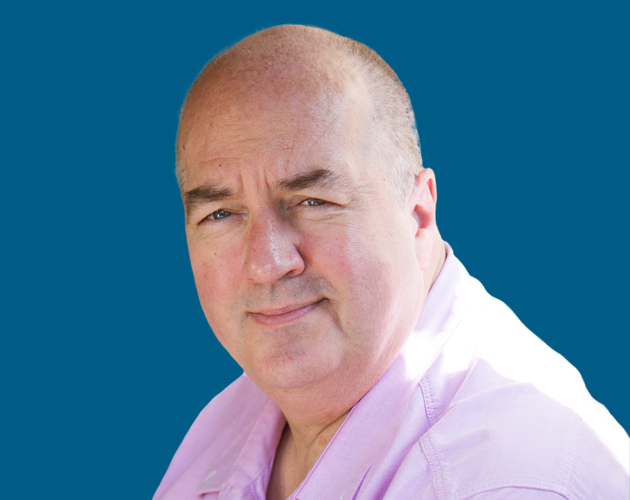 Mike joined the insurance industry more than 35 years ago, working for several UK insurance companies before moving to the Isle of Man in 1995. In 1999, he joined Sun Life International, which became Axa and ultimately Utmost Wealth Solutions. 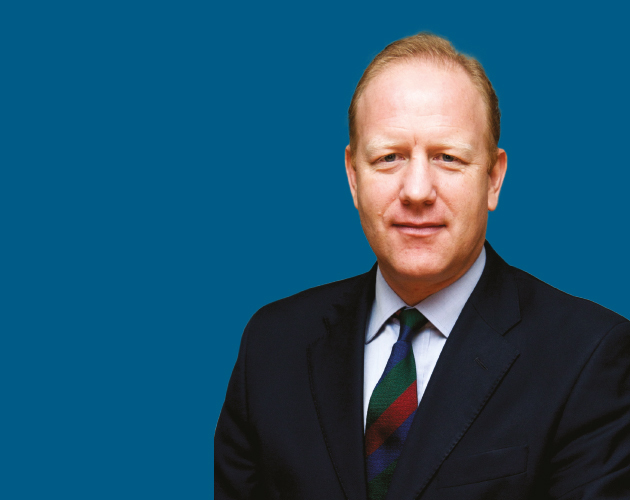 From August 2015, he led the disposal activity of Axa Isle of Man, culminating in the successful acquisition by LCCG in October 2016 and the creation of Utmost Wealth Solutions. He is a fellow of the Institute of Directors and lives on the Isle of Man. Areas of influence: ‘I strongly believe in self-policing and I would hope I have been able to ensure that customer outcomes remain a priority. We were one of the first providers to disallow commission-paying investment funds within portfolio bonds. I felt that such “back door” adviser remuneration was generally opaque and not in customers’ best interests. Our decision to ban such funds was not popular and cost us new business opportunities, but we felt we had to put customers’ interests first. Paul joined HMIT, then Bank of Scotland before moving to Asia in 1994 to set up MBMG, a diversified financial services business, currently a member of a $5bn global group with 25,000 employees in 500 offices in 100 countries. A licensed investment analyst and investment planner, Paul is an advisory board member of US think tank Idea Economics and frequently appears as an expert commentator on TV. Areas of influence: ‘I am working to popularise investment concepts previously absent to clients in the Thai marketplace, such as unconstrained bonds, multi-asset, AI-managed and hedge funds. This will open the door for the issuance of domestic versions of these and permanently change the investment landscape in Asia. I am also developing the concept of fee-based, global asset advisory in south-east Asia. Although the model has not yet been widely adopted, there are now eight holders of the license category in Thailand. 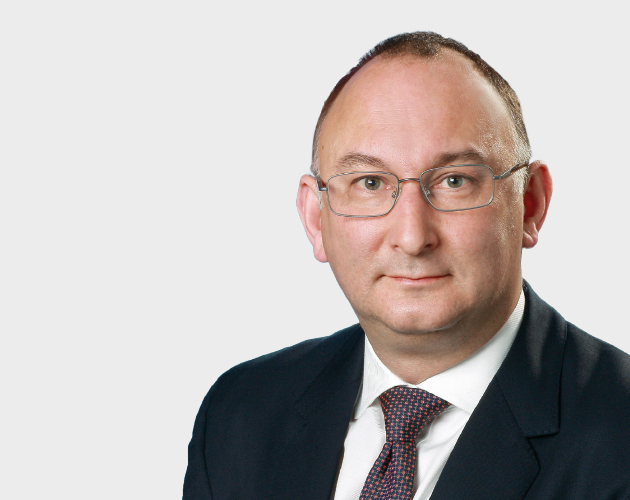 Richard began his career at HM Revenue & Customs then via Baker Tilly, before becoming a full equity tax partner within Mazars’ UK arm, where he headed the tax practice for the north of England for several years. Moving to Guernsey in 2010, he helped to build the pension company that now trades as Trireme Pension Services Guernsey in 2012. Malta was added to the Trireme family a couple of years later. Richard is the key driver behind the growth of the Trireme brand. Mark is the founder and group chairman of Momentum Pensions. He established Momentum with a clear vision to evolve the international pensions sector by delivering new standards of service, integrity and transparency. 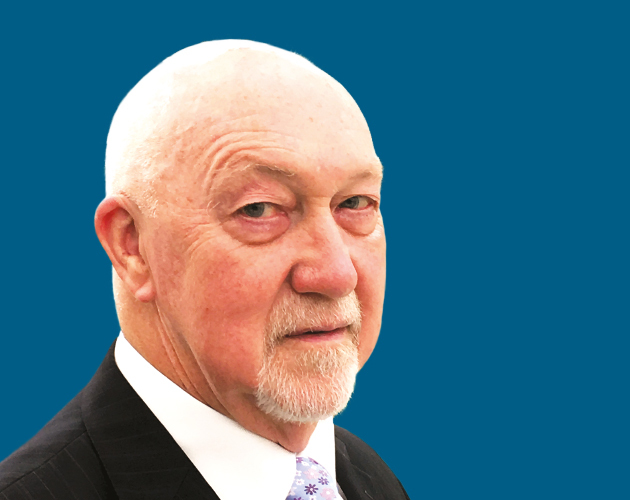 To realise this vision, he was able to draw upon substantial experience in financial services, having previously served as a main board director for two international banks on the Isle of Man, where his responsibilities included investment, banking and fund administration. Nigel entered the financial services industry as a young adult. After 15 years working in London, he established a Luxembourg-registered company offering financial services to expats, wherever they resided in the world. 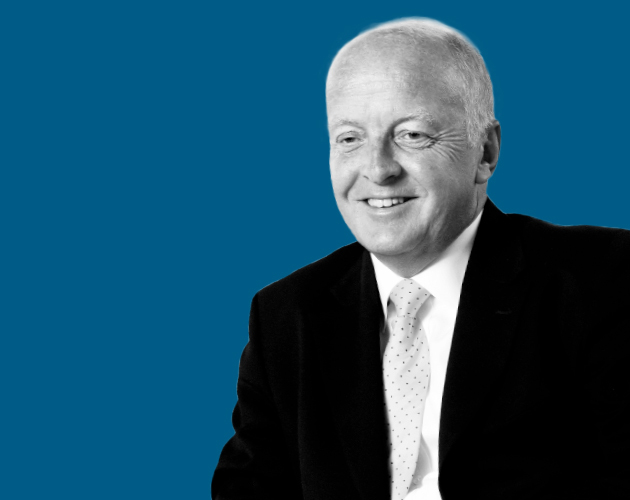 After operating in the offshore financial industry for several years, he launched Devere in 2002 and established an office in Hong Kong, the first of more than 70 today, serving 80,000 clients in 100 countries worldwide. Nick has been in his current role for two years, with responsibility for sales and marketing, having previously spent 10 years as global head of sales. Prior to that he was a regional director, Far East, for Generali International, based in Hong Kong. He now has more than 30 years’ industry experience, having joined just before the stock market crash of 1987. 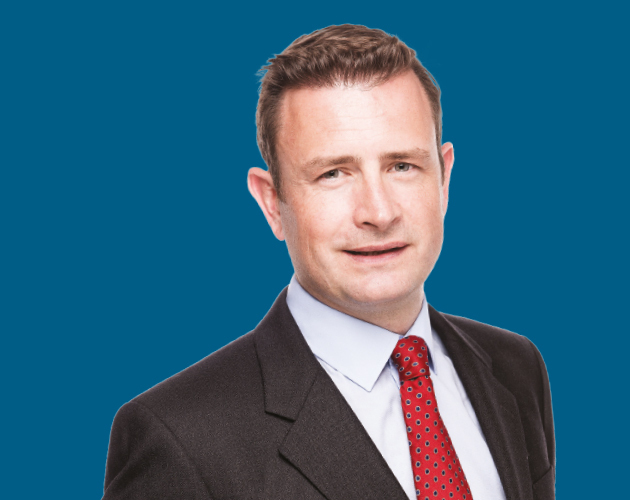 In his current role he has global responsibility, with offices and/or sales representation in Guernsey, Hong Kong, Ireland, Panama, Singapore and the UAE, and policyholders of more than 180 different nationalities in 200 countries. Rachael is known as a technical expert and industry commentator. 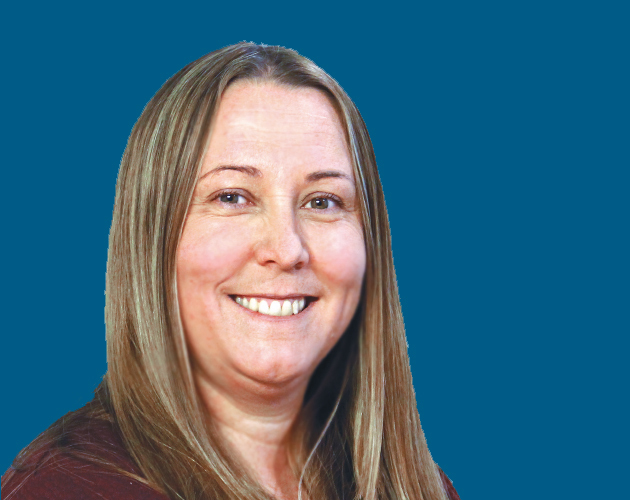 She is a member of the Society of Trust and Estate Practitioners, the deputy chair of AILO tax committee, a member of the Manx Insurance Authority and a member of the life insurance product and operational tax working group of the ABI. In addition, she is a multiple award-winner, receiving the Ailo James Ball Memorial Award in 2016 in recognition of her contribution to the organization, and the International Adviser award in 2017 for Outstanding Contribution for her work to progress the international advice market. 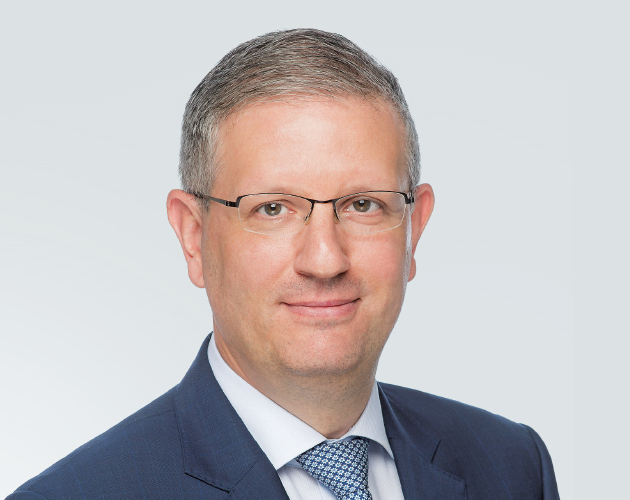 With more than 20 years’ market experience in London and Hong Kong, David has been the chief investment officer and responsible officer for Capstone for eight years. He started out at Robert Flemings and previously worked for JP Morgan before moving to Man-Vector as a risk manager and trader. Brendan provides taxation and technical support for Friends Provident International’s high net-worth and global expat advisers and customers. He has been in the industry for 24 years and is an associate of the CII’s Personal Finance Society, a chartered financial planner and an associate of the Institute of Chartered Secretaries and Administrators. He is chairman of the tax committee for Ailo. Areas of influence: ‘Development of an award-winning inheritance tax and estate planning product that has been copied by peers, which is the greatest form of flattery. I have also played a part over the years in improving advisers’ knowledge and value to their customers through training, seminars and CPD delivery. I also helped the first portfolio bond get licensed in Singapore. 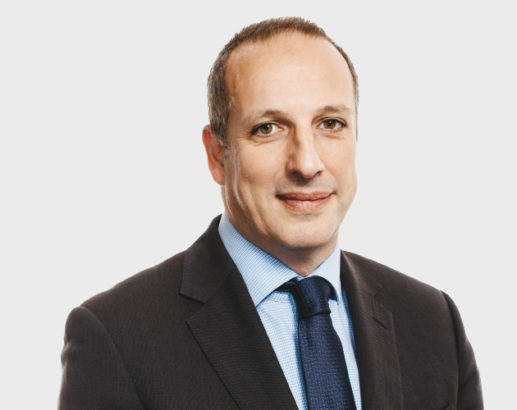 Mark’s roles include deputy CEO of Nexus, head of international and expatriates at Zurich, chief executive officer, Middle East and Africa, Zurich Global Life, CEO, Asia Pacific and Middle East, Zurich Global Life, CEO Europe, Middle East and Africa, Zurich Global Life, and chairman at Zurich International Life. 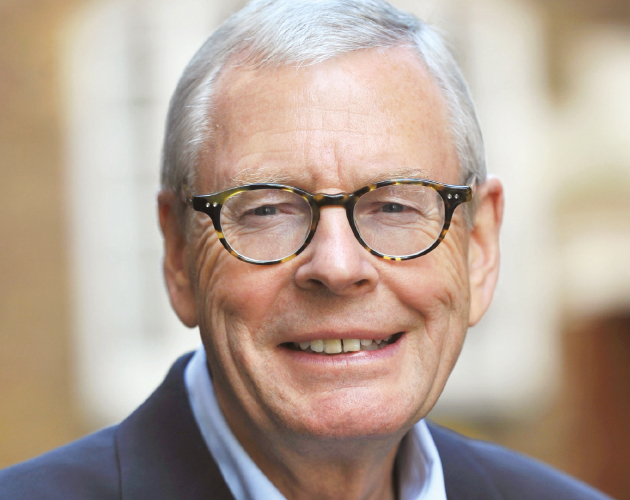 He also chairs a host of other boards and has several memberships, including Australia, Singapore and UK. 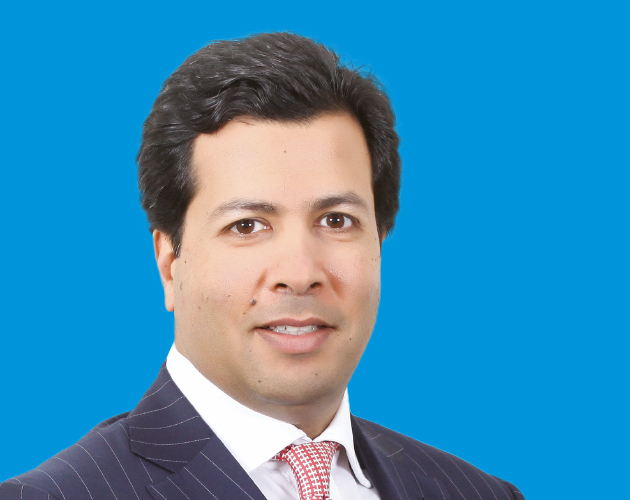 He is presently head of operations, Europe Middle East and Africa, at the Zurich Insurance Group. Areas of influence: ‘I have developed the life business in Asia, Middle East Africa and Europe for Zurich Insurance Group over the past 10 years. Gary is a seasoned leader in the financial services and wealth management sector with in-depth operational and strategic experience at chief executive and board director level in Asia and Australia. He has experience in leading strategic change in large and small organisations, business start-ups and business development. He is well known for his passion in driving high standards of professionalism, client centricity and adoption of high standards of compliance and governance. 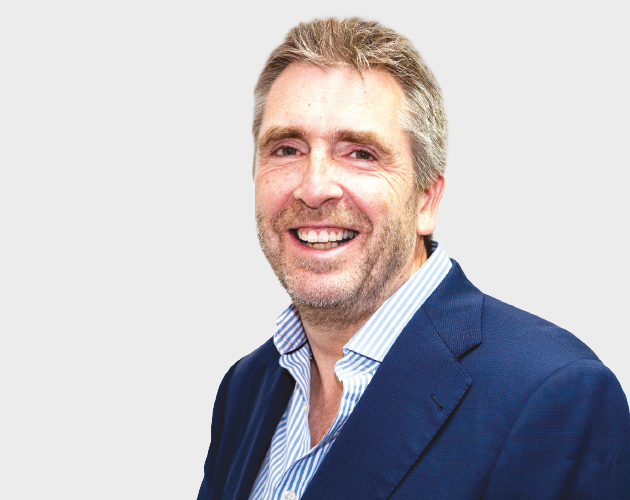 Garry formed The IFA Association in 1989, which represented over 60% of UK IFA practices. In 2015, he published The Heath Report that looked at the effects of the RDR and its impact on the consumer and the industry. 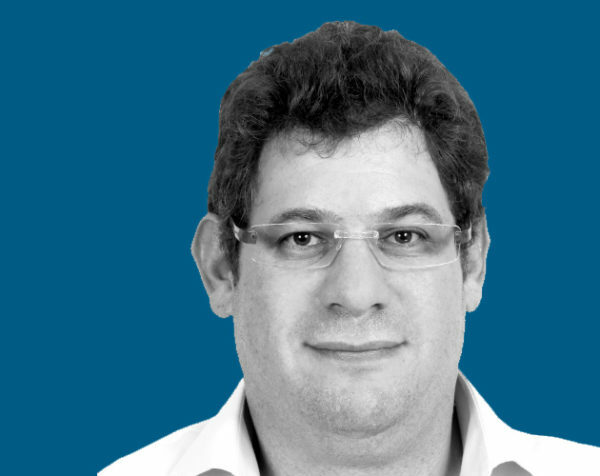 Following publication, he formed Libertatem, which has experienced rapid growth as the adviser community comes under increased scrutiny and financial pressure from the regulators. He has been awarded Outstanding Contribution to the Financial Services Industry by Money Marketing eight times. Barry is the CEO of Paradigm Norton, a Bristol-based financial planning business often cited as one of the leaders in the UK financial planning profession. The 60-strong team serves more than 650 families and has offices in Bristol, London and Torquay. Paradigm Norton was formed in 2001 and has won more than 25 professional awards. Barry is currently the chair of the US-based Financial Planning Standards Board. He became a CFP professional in 2003. David has been in the industry for 35 years. Having started out as a UK IFA, he is proud to have helped build a global financial planning firm over the past 15 years. During this time the GWM Group opened offices in the Middle East, Europe and the US, while retaining some of its oldest clients in places such as Malton and Goathland in North Yorkshire. 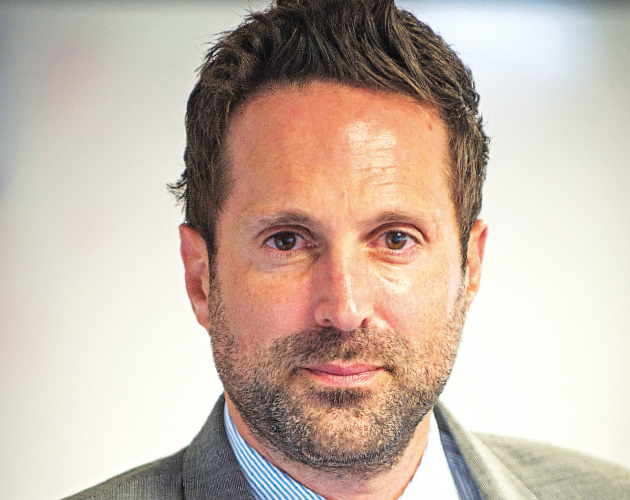 Areas of influence: ‘Using FCA standards as a benchmark, the GWM Group has successfully exported a blueprint mirroring UK standards across the globe. While being mindful of local nuances, we are regulated in each jurisdiction where we are established. We enforce our own internal regulation and compliance functions to exceed and surpass both client and regulator expectations. Peter’s extensive professional experience includes a variety of senior roles at Zurich Topas Life Indonesia, Zurich Global Life Singapore, Swiss Reinsurance Company, Allianz SE Asia Pacific and Swiss Life. 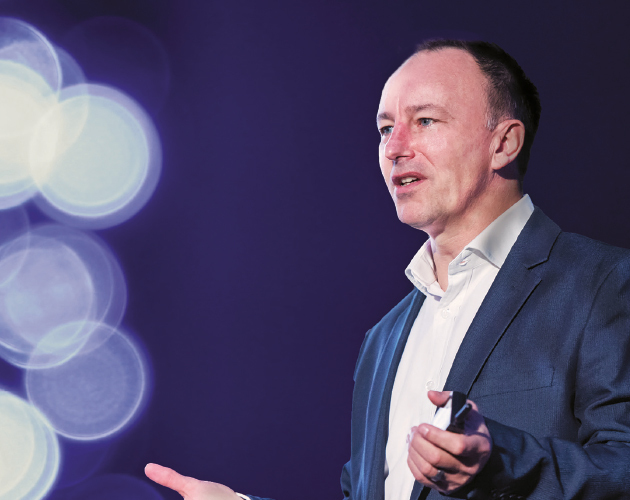 Areas of influence: ‘Throughout my career I have been influential in redefining the customer value proposition for life and savings products, and redesigning the customer journey experience. Customers enjoy a new level of transparency and power with all the information they need at their fingertips. They expect immediate delivery of services and a seamless experience. ‘It is important to speed up digitalisation and change our culture to become more customer-oriented. It is crucial that we create personalised and tailored value propositions for each target customer segment and address new customer needs. As a graduate of King’s College London, Sam was later commisioned into the Household Cavalry. He originally founded AES International to specialise in high-risk areas of the world and based its structure and values on the military. Today, its mission is to create positive change and export UK best practice. This means it challenges the status quo of an outdated industry and pioneers the emergence of a transparent profession. The vision is to make the world healthy, wealthy and wise. Areas of influence: ‘I am interested in helping to accelerate the emergence of a financial planning profession around the world. This means continually advocating the transparent disclosure of commission, promoting the benefits of fee-based advice, pushing for higher standards of professional qualifications and ensuring genuinely independent advice. 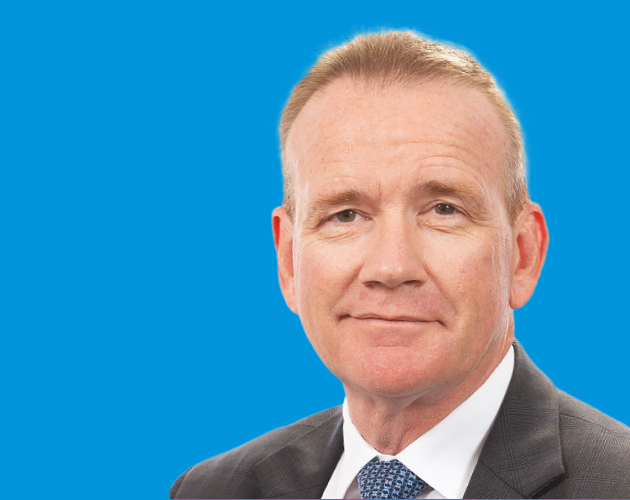 Ian has been the chief executive of the Dubai Financial Services Authority since 2012. Prior to this he held a number of senior roles across Australia and Asia. He was chair of the joint forum and was elected to the steering group of IOSCO’s growth and emerging markets committee. He was a member of the financial stability and technical committee of the IAIS and one of the directors of the Financial Planning Standards Board (FPSB). 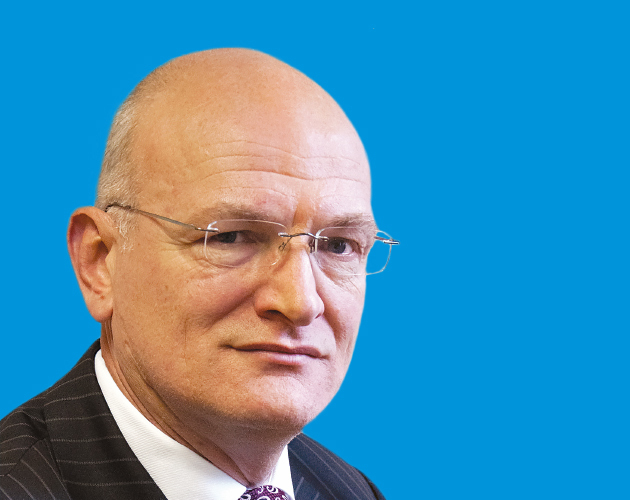 Walter is responsible for developing and executing Zurich’s strategy in the Middle East. 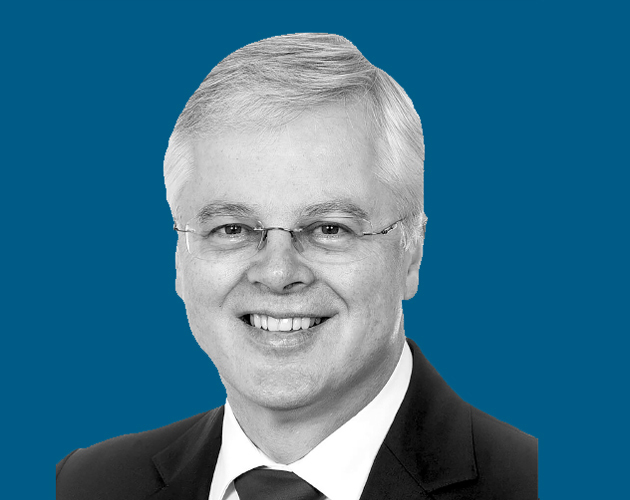 During his 24-year career at Zurich, he has held several senior roles within Asia Pacific, Europe, Latin America and the Middle East, with a strong focus on business development. Until 2015 he led regional market management for Zurich in Asia Pacific and the Middle East, overseeing sales, marketing and propositions. Areas of influence: ‘I have been responsible for business development in a variety of markets, including the development of Zurich’s strategic partnership with banks and key distributors, the refocusing of certain businesses and leading the strategic direction of the company. Trevor is a founding partner of Infinity Financial Solutions, a leading provider of financial services spanning Asia. The company was founded in 2004 to offer a client-focused approach to financial planning, delivering quality independent advice and effective wealth-management solutions. Trevor holds various qualifications ranging from the Hong Kong CIB and SFC and the Chartered Insurance Institute in the UK. Areas of influence: ‘We founded Infinity in 2004 because we felt the expat community in Asia was being ill-served by the financial services industry. We changed that by adopting a customer-centric approach with our financial planning. We have raised the bar in terms of the services and advice we offer as we always strive for quality, putting our clients’ needs first. ‘The business has evolved significantly during the past decade as we have outsourced asset management and tried to reduce front-end fees and indemnified commissions. We’ve adapted our client offering, allowing us to focus on higher net-worth clients and increase the quality and retention of staff. For Harris, university and teacher training was followed by ‘working’ at Club 18-30 and then employment on the Beatrice North Sea platform. Both jobs were educational and informative in different ways. After lecturing, Harris fell into recruitment. He was with a national agency and two specialist ones for 12 years before Keillar Resourcing was set up in 1996. He has been involved in international recruitment since 1998 and recruited into almost all jurisdictions bar the US. His firm has won numerous awards, including being voted Best Agency in the first ever Financial Adviser vote. Sean became CEO of the Mondial business when FPG devolved after the global financial crisis. 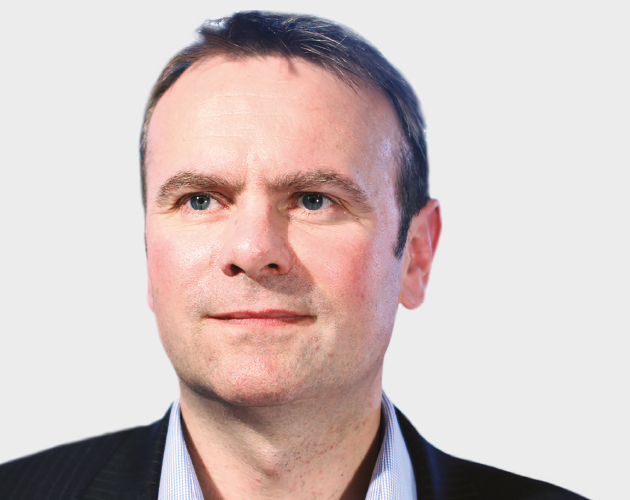 That devolution led to a change in strategy from ‘spreading itself far’ to ‘running deep’. 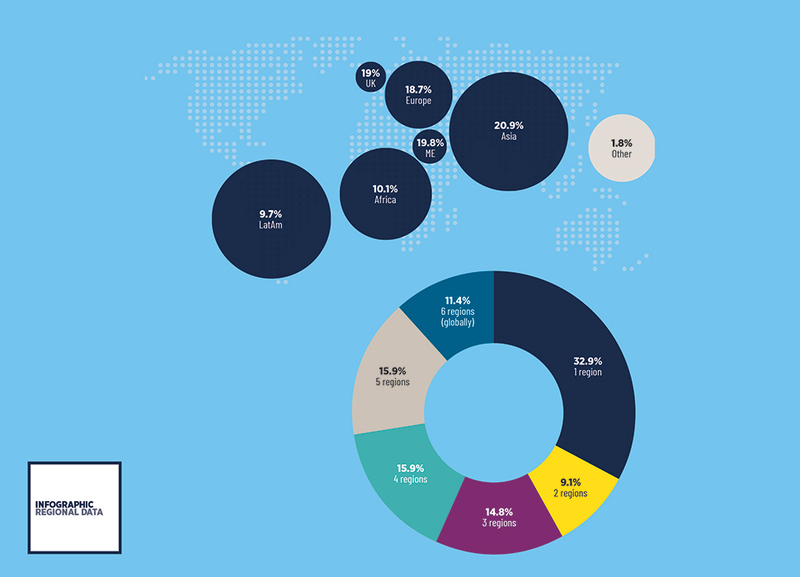 As a result, Mondial and Expat Cover businesses are focused solely in the UAE. Sean started out in the financial services as a management trainee at Midland Bank. Today, his main work revolves around IFA management. After helping put together a merger of seven IFAs to form Financial Partners in 2002, his main professional activity now revolves around his role as CEO at Mondial (Dubai). He joined Mondial in 1989 and has been voted Middle East Financial Adviser of the Year on three occasions. 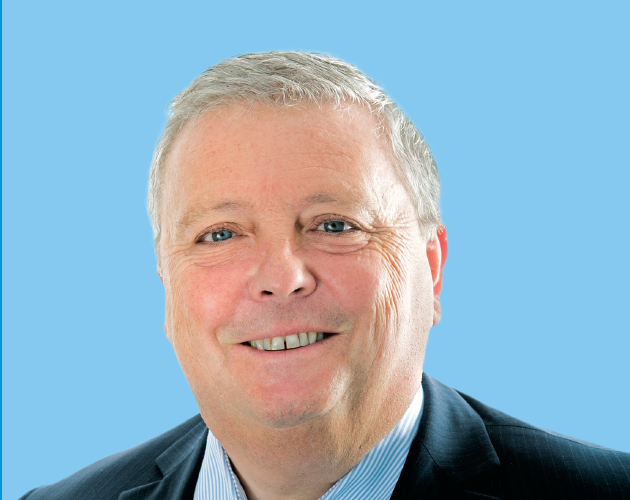 Gerry initially worked as a chartered certified accountant in Dublin. 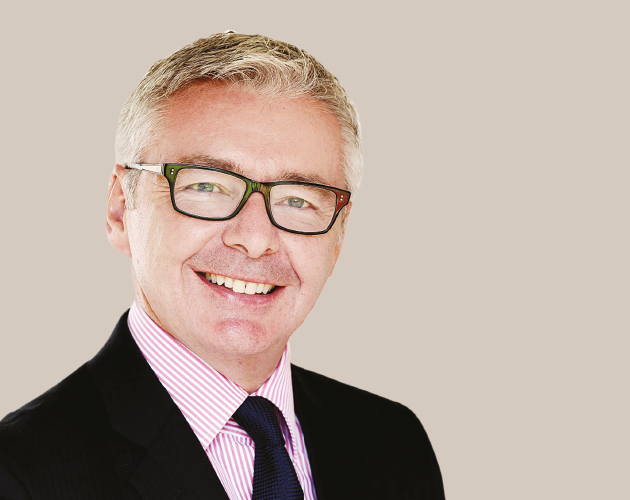 He moved to the Isle of Man to join accountants Pannell Kerr Forster and moved on to Bank of Ireland Asset Management in 1990, later transferring to Jersey as a senior manager. 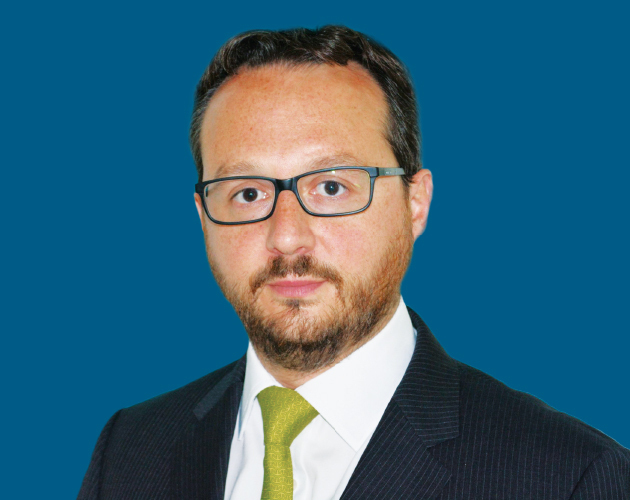 He joined Sovereign Trust in Gibraltar as group finance director in 2002 and assumed additional responsibility as group operations director in 2008. 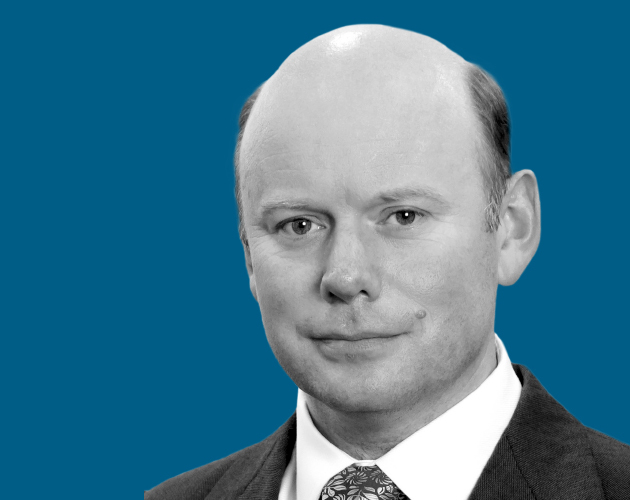 He assisted and led the launch of Sovereign’s pensions and retirement planning division from inception in 2012 and was appointed group CEO in 2018. Areas of influence: ‘When I joined, Sovereign was focused on company and trust formation, and management services. As finance and operations director I implemented a strategy to introduce the additional services our clients needed for long-term sustainability – accountancy, human resources, pensions, insurance, IP protection and specialist tax advice. This was done through a programme of recruitment and/or acquisition. 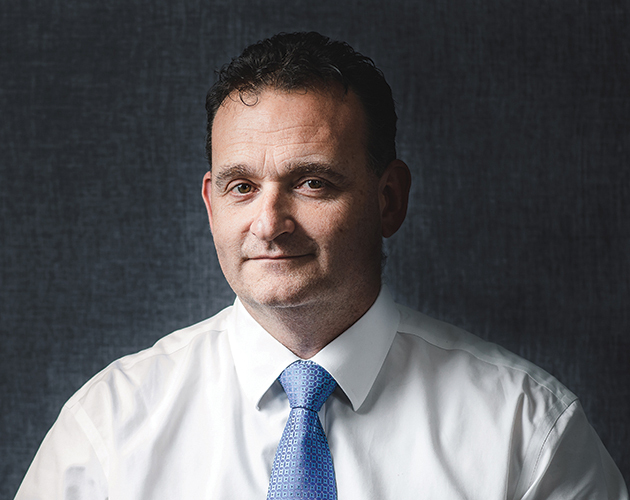 Peter is based on the Isle of Man, where he is responsible for leading the business and continuing to build the brand locally and in targeted international markets. During his career he has held the roles of chief operating officer, fund director and managing director of fund management and distribution companies. Previously, he worked for Zurich International Life, where he held various positions, including that of strategic alliances and client services director with direct responsibility for staff across global locations. Malcolm has held senior roles at companies including MetLife (USA), MetLife UK and Canada Life International. In 1998 he joined KPMG Consulting as a director, before moving to EY as an executive director in 2004. In 2017, he was appointed a non-executive director of Fairstone Capital Investment, one of the largest CII chartered financial planning firms in the UK. 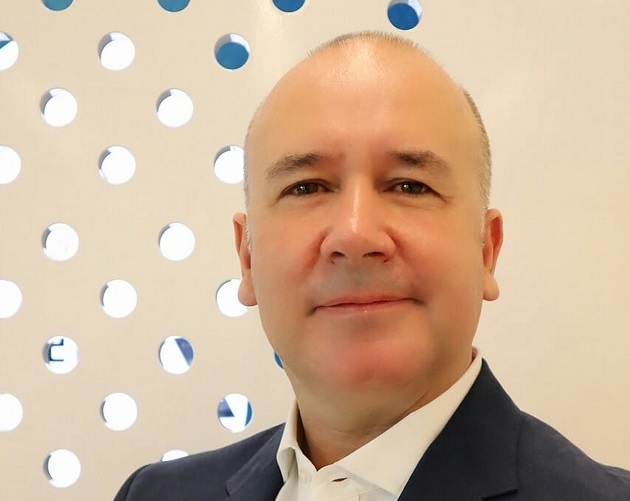 He is a member of the judging panel for Money Marketing Awards, Gold Standard Awards and Women in Investment Awards, and sits on the advisory board of The Investment Network. Tarun joined Nexus in January 2007 as head of finance, becoming deputy CEO in early 2010. In June 2013, he became CEO of the group with responsibility for both the strategic and day-to-day management of the business. He has significant experience in financial services, with 25 years in asset management and investment banking. 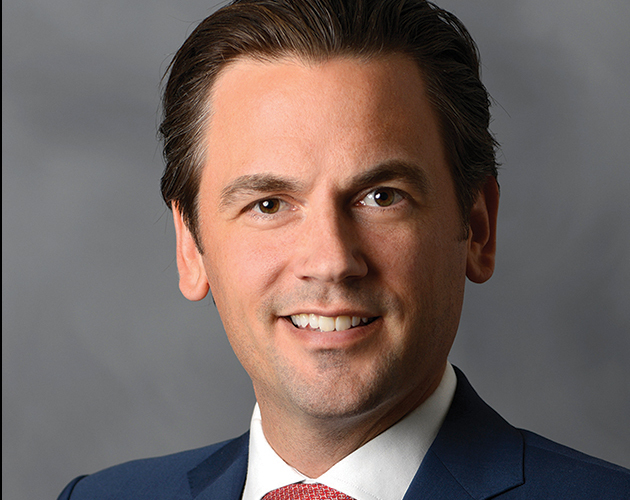 He joined Merrill Lynch in 1990 and subsequently worked at Morgan Stanley, Lazard Asset Management, Wellington Management and Copper Arch Capital. 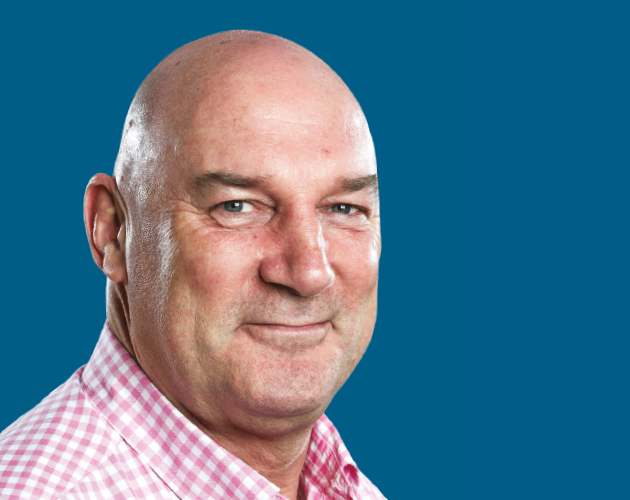 Areas of influence: ‘Nexus is investing heavily in technology and digitisation. There is a new generation of clients growing up that associates core transactions with technology. These have not historically been associated with financial services and we must cater to the ever-changing community we serve. David is a law graduate who began his working life in the advertising industry. He moved to financial services at Swiss Life UK as marketing director in 1992. He then joined the Royal London Group in 2002 and took on his current role, originally within the group, in 2004. Following a brief career with the Metropolitan Police in London, Cornelius launched his financial services career in London in 1987. Allied Dunbar became a training ground before a permanent move to the Middle East in 1992. The Central Bank of the United Arab Emirates issued him one of the first financial consultation licences in 1997, which Acuma Wealth Management and sister company AIB used to great effect. Following the sale of these companies, Abacus was born. It is currently voted Best Advisory Firm by the International Adviser Best Practice Adviser Awards in the Middle East. 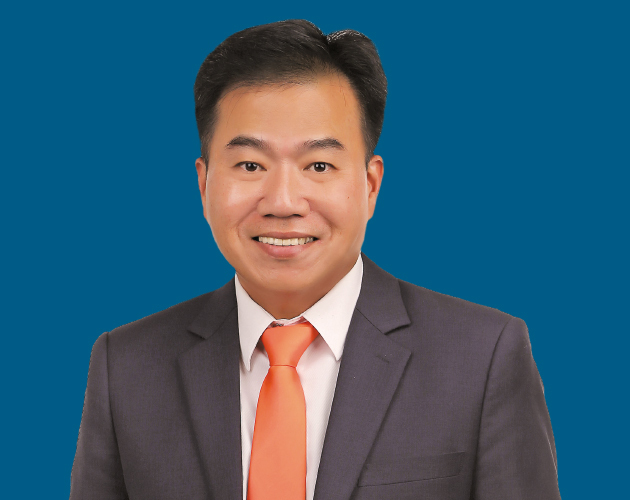 As the chairman and CEO of iFast Corportion, Chung Chun is responsible for setting the company’s strategic direction together with the board, while overseeing the overall management. 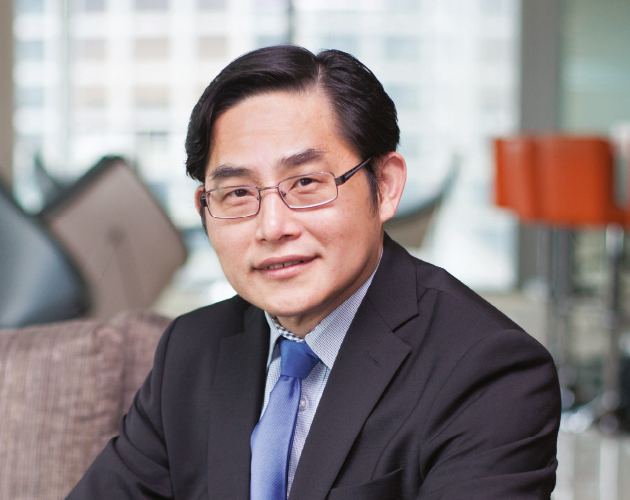 Previously, he was an investment analyst at two Singapore securities companies from 1991 to 1998 and rose to be head of research at ING Barings Securities, before co-founding fundsupermart.com in 2000. Areas of influence: ‘Ensuring we provide research to investors and advisers, empowering them to make the right investment decisions. From our launch in 2000, through to the recent launch of stockbroking services and insurance products, the emphasis on good research has been core. ‘After we received our SGX trading membership in Singapore – the first retail broker to do so in many years – we made commission fees competitive. We even introduced flat fees for some customers, which was unheard of in the local industry. From 1991 to 1999, Michael worked for Mondial Expatriate Services in Europe as a consultant to the regional director. 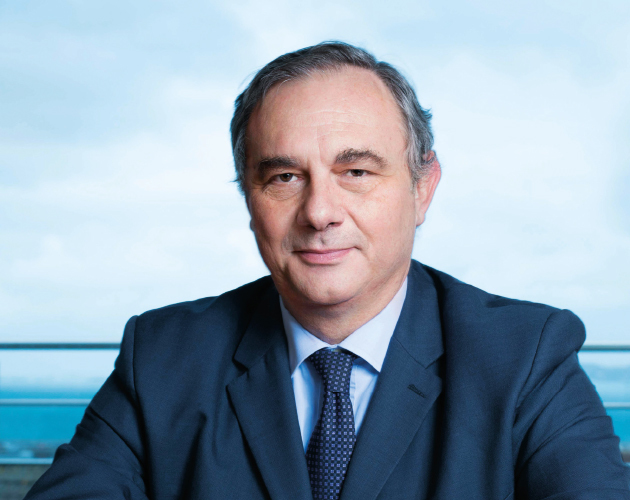 In 1999, he moved to the European Business Network Luxembourg as director of the international division before founding The Spectrum IFA Group, western Europe, in 2003. Sarah started in the industry more than 15 years ago and has a wide breath of experience. 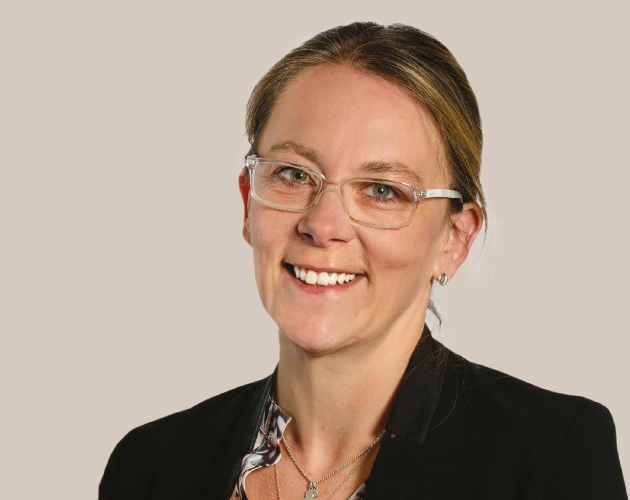 Prior to joining Mazars, where her role is to assist with the growth and footprint of financial planning in the UK and internationally, she was heading up Killik Wealth Planning in the Middle East and UK. 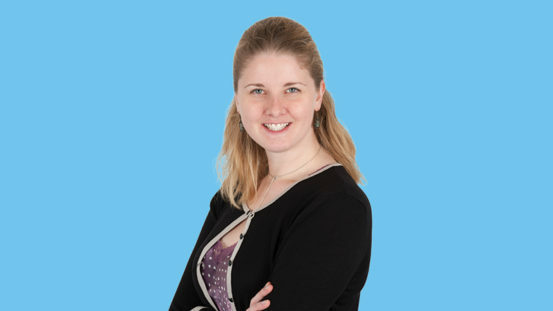 She is one of the most qualified female financial planners in the UK and offshore advisory markets, and well known as an international financial planning specialist. She also sits on the board of the PFS. Areas of influence: ‘I am passionate about seeing the transition of the financial advisory industry into a profession that in part is driven through encouraging advisers to achieve higher qualifications. I am a great believer that a high level of qualification, and ultimately knowledge and understanding, is essential to delivering the best outcomes for clients. ‘I am also continually trying to drive movement towards greater transparency in the offshore space, particularly in relation to the cost of financial advice. This will ensure the advice delivered is impartial and for the benefit of the client, not the adviser or the firm. 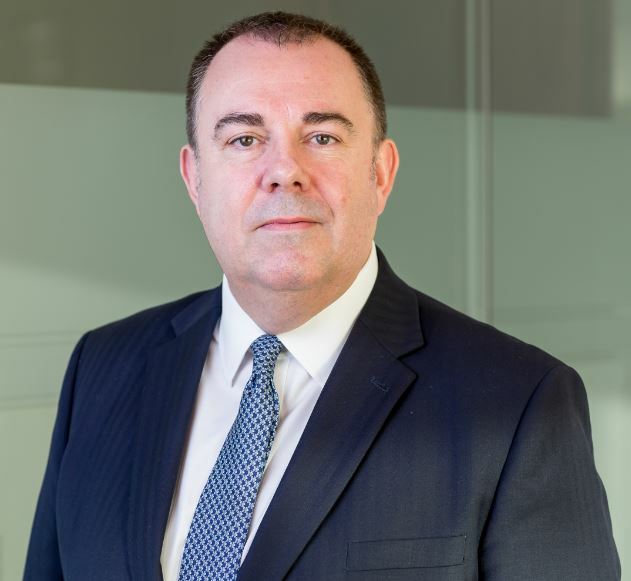 Bryan worked in the cross-border financial services sector for more than 25 years, initially as a marketing director for RBS International in Jersey, before joining Scottish Provident International in the Isle of Man. In 2001, he founded Acuity Consultants and spent the next 15 years developing Acuity into a leading marketing and sales consultancy firm. In 2016, he set up Provisca to provide an outsourced sales and marketing partnership that brings major new product providers into the international adviser market. Areas of influence: ‘I have worked with many major companies as a marketing practitioner, specialising in cross-border business, retail, wealth management and wholesale sector strategy. 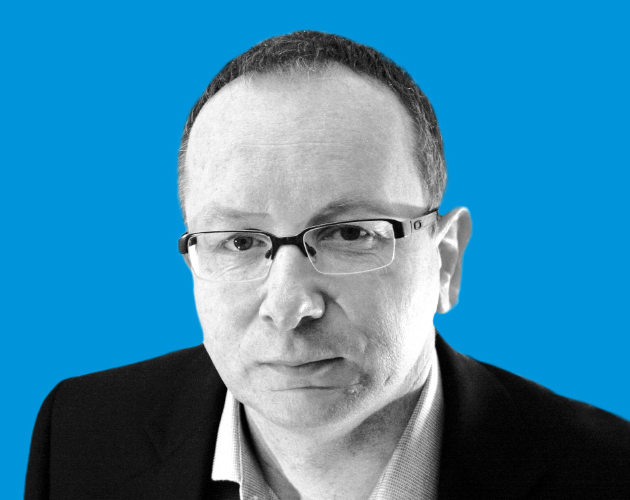 ‘I’ve worked across all the key cross-border markets, including multi-channel distribution in the UK and internationally in Africa, Asia, Europe and the Middle East. I also work with product providers based in all the key cross-border home jurisdictions, such as the Channel Islands, Ireland, Isle of Man and Luxembourg. 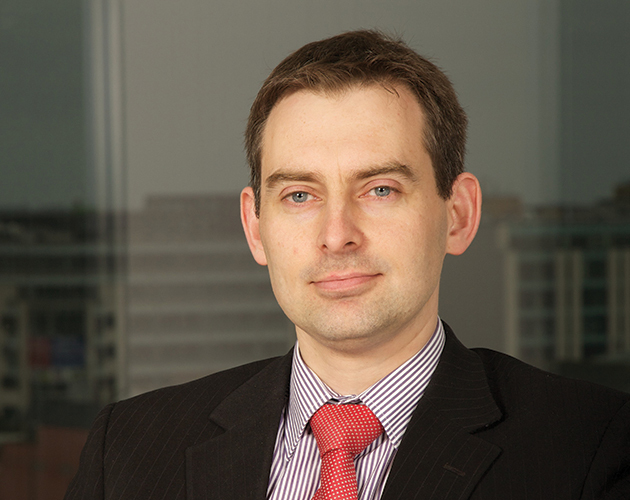 Mark’s first role was with Wesleyan Assurance Society in Birmingham before returning to Ireland in 1996, following the creation of the International Financial Services Centre (Dublin). He joined the fledgling Irish Life International (ILI) as a trainee actuary and progressed through various roles, including financial reporting, business planning and product development. In 2007, he became CEO of ILI where he continued until the acquisition of ILI by SEB in 2011. Since then he has worked for SEB as head of its actuarial function. 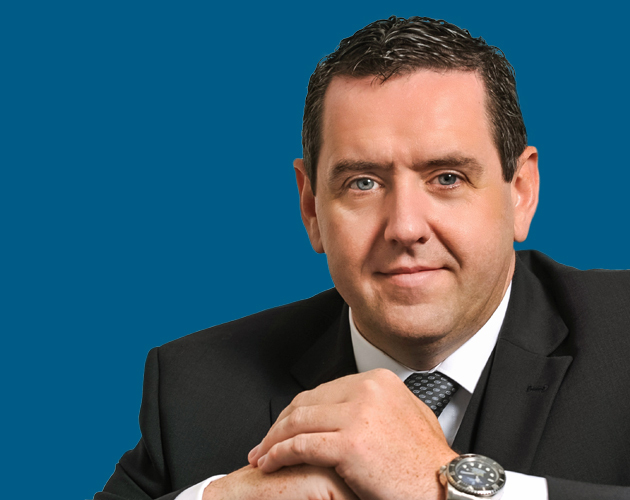 Areas of influence: ‘I have been an active member of various industry and professional bodies over the years, including Insurance Ireland, Ailo and a member of the Cross Border Life committee of the Society of Actuaries in Ireland (SOAI). Through the SOAI, I contributed to guidance for Appointed Actuaries on the Policyholder Reasonable Expectations issues specific to cross-border business. I also contributed to a paper on pricing and holding alternative investments within unit-linked products. William’s first job was picking tomatoes, then after university he built oil company bases in the Algerian Sahara during the Islamic insurgency of the mid-’90s. 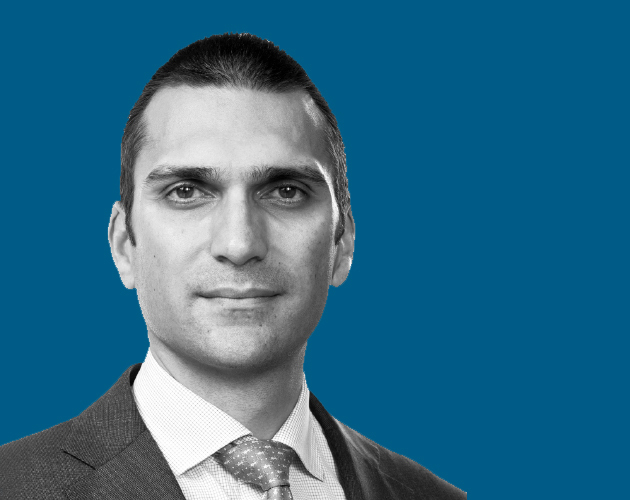 He ran an IPO in Arabia before working as a strategy consultant while policing London part-time, after which he gained a post-grad qualification and joined the public service. There he worked at the British Cabinet Office rolling back regulation. He moved to the UK Financial Services Authority during the 2008 crisis and then to the Central Bank of Ireland to rebuild after the financial collapse. Areas of influence: ‘Writing the Regulation – Less is More report for Tony Blair and seeing it improve how he and subsequent governments approached the administrative burdens of regulation. Also, writing Freedom for Public Services and seeing the UK coalition government implement some of its recommendations. ‘Developing the FSA’s approach to business model analysis and interviewing firms’ principals after the financial crisis. Developing a new approach to financial services supervision in the Irish Republic and seeing the software I’d developed adopted by the European Central Bank to implement banking union. 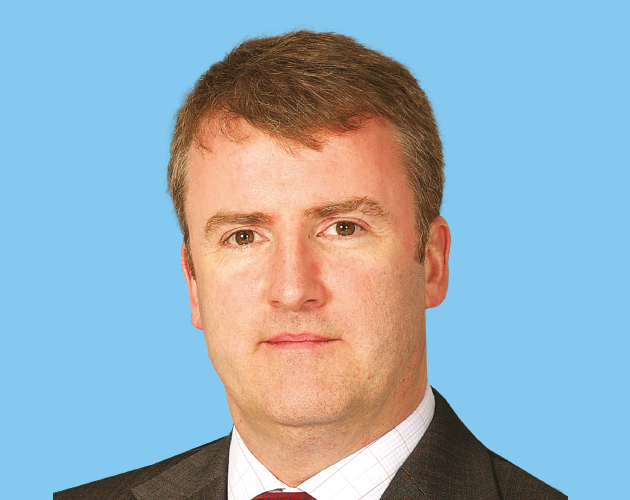 Conor entered the financial services sector in 1993. He has held marketing and distribution roles across Europe, the Middle East and Far East during this time. Now based in Dublin, he heads up intermediary sales, working with intermediaries, banks and asset managers who have clients across selected European markets. Areas of influence: ‘I have a keen interest in cross-border distribution of locally compliant insurance products and holistic financial planning. I have worked with Ailo for many years and currently chair the distribution and marketing committee. Alan joined the UK unit-linked life industry in 1972, working for Abbey Life. 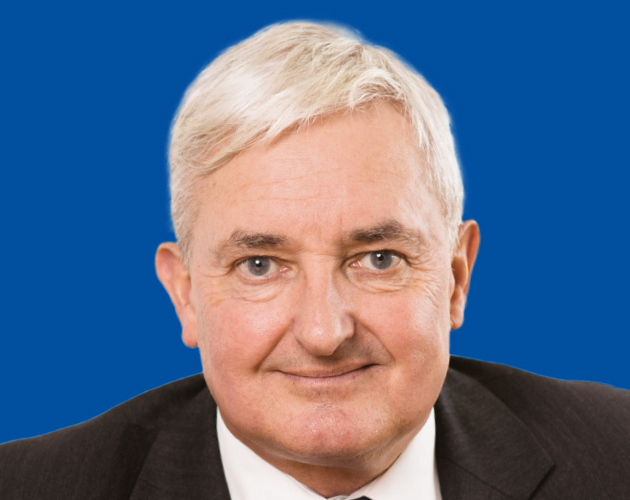 In 1979, he joined Albany Life and in 1986, he was appointed CEO of Albany International Assurance, a new life company formed on the Isle of Man. 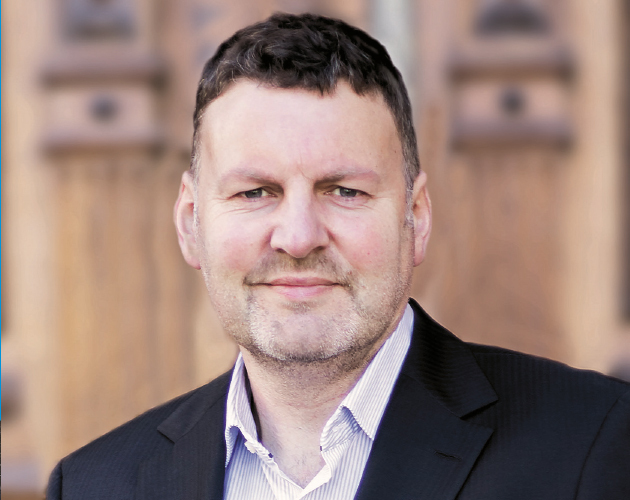 A number of new companies also set up on the Isle of Man, Channel Islands and Luxembourg around the same time and in 1987, Alan was part of the group that met and formed the Association of International Life Offices (Ailo) as an industry body to represent the international life assurers. In 2004, he became chairman of Ailo and then CEO in 2010. Areas of influence: ‘Albany International was the first company to introduce the deferred initial charge structure, rather than a front-end load. This is now an industry standard. At Ailo, we created the ability for foreign life assurers to enter and service the UK domestic market and Albany was one of the pioneers of this. We had to create a policyholder compensation scheme for the Isle of Man. ‘Offshore bonds now dominate the UK single premium market and the product has spread throughout Europe and the international markets. It is the most popular consumer retail investment product in Europe. 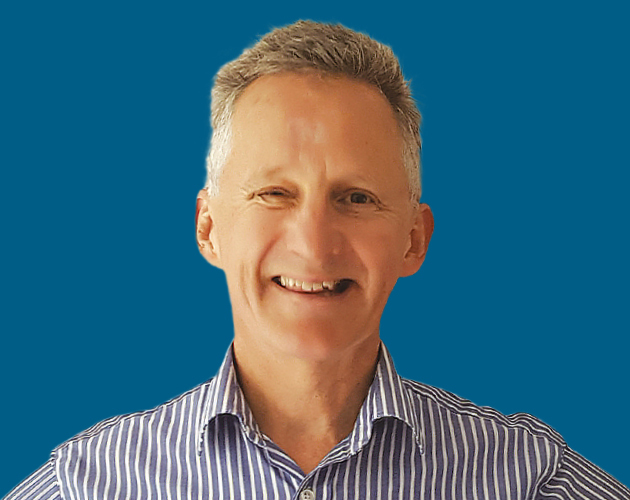 Graham has 30 years’ international industry experience, having worked in the UK, Hong Kong, Singapore and the UAE with life businesses across multiple jurisdictions. 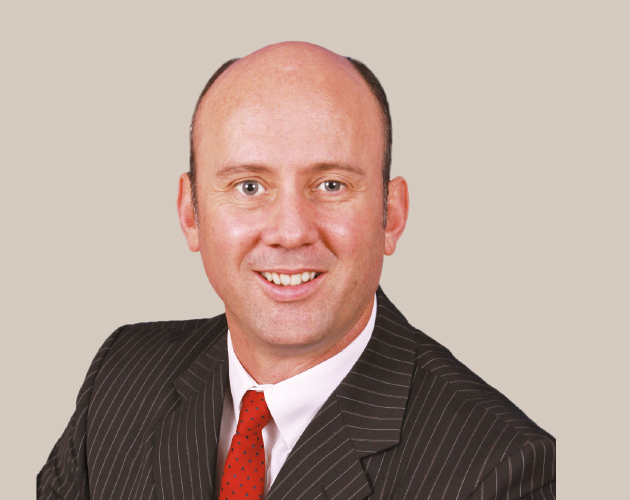 He joined Hansard Global in July 2013 to help drive change and implement Hansard’s business growth strategy and plans. He has always specialised in sales, distribution and marketing across several senior leadership roles. Michael has extensive operational, leadership and strategic expertise. Following 10 years at Mobil, he joined BCG, consulting in banking, airlines, mining and biotech. As CEO he transformed Vision BioSystems from an unprofitable contract manufacturer into a vertically integrated, profitable business with distribution to 60 countries. At Praemium, he and his team are building a cutting edge, integrated technology and investment solution to transform the wealth management industry. 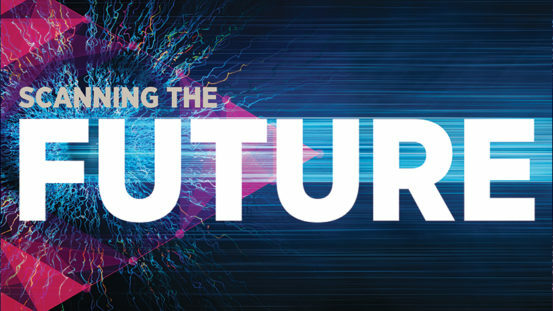 Areas of influence: ‘The shift to managed accounts (MA) technology. I believe strongly that MA is the future and have resisted the pressure to compete with traditional wrap platforms. MA technology enables advisers to manage all their clients’ investments equitably regardless of portfolio size. Floating models remove the need to rebalance and investors get beneficial ownership of investments, quality reporting, transparency and tax effectiveness. Bob is the chair of the Association of International Life Companies, the trade body that represents the international cross-border life insurance industry. 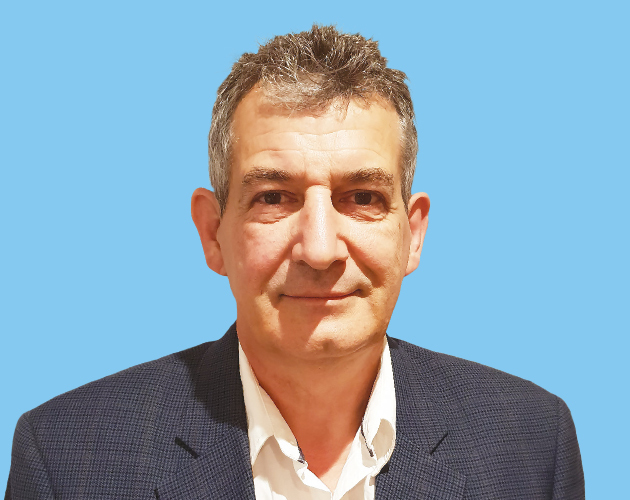 He has 35 years’ experience within the financial services industry, having worked in numerous roles in sales, marketing, customer services and business process outsourcing at Target Group, Axa, Friends Life and Investors Trust Assurance. He currently has his own business where he specialises in advisory and non-executive director roles. Areas of influence: ‘I have a passion for international financial services. My wide network of contacts throughout the value chain globally has enabled me to influence many financial groups in Asia, the Middle East, Africa and Europe to ensure products and services from alternative jurisdictions potentially meet the needs of their high net-worth customers. ‘I believe a strong association supporting its membership is essential to the lifeblood of an industry that now needs to innovate and transform under growing regulation and changing needs of customers. James is chief executive of Aisa Group, a UK-headquartered, fee-based advisory firm specialising in cross-border financial planning. He also runs the EU-based OpesFidelio network. He has won multiple awards for financial advice and has built a series of companies in multiple jurisdictions, including in the US. David is global head of strategic accounts at Allfunds, following roles as regional manager Asia and regional manager Middle East. He has gained an extensive knowledge of the mutual funds business, with a career that spans more than 20 years doing equity trading, fund research, institutional advisory and business development for various firms. 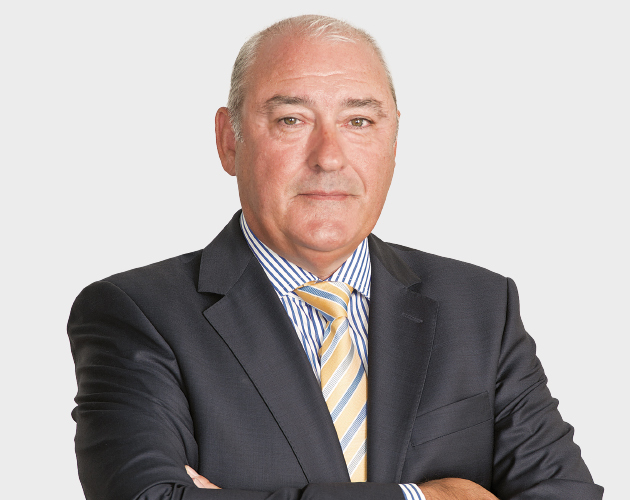 Richard has over 30 years’ experience in retail financial services in both investment and insurance. He was a founding director of Cofunds at the start of the investment platform industry in 2000 and platforms have been his business life since. He joined Ardan initially as a non-executive director before taking over as CEO in February 2015. 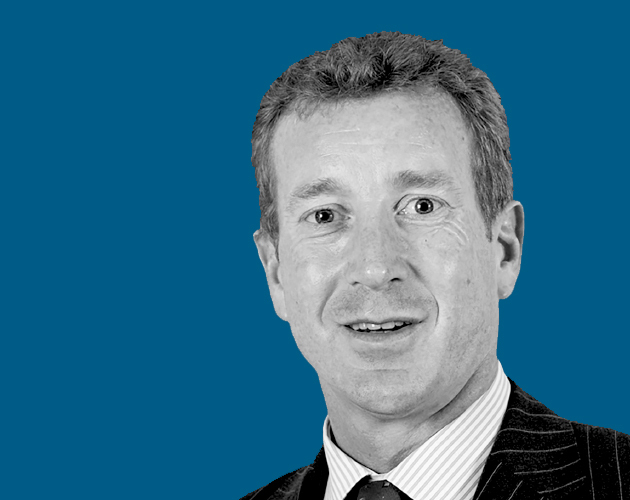 Having seen Ardan through three changes of ownership, Richard believes it is now in the right place, as part of IFGL, focused on international advisers. 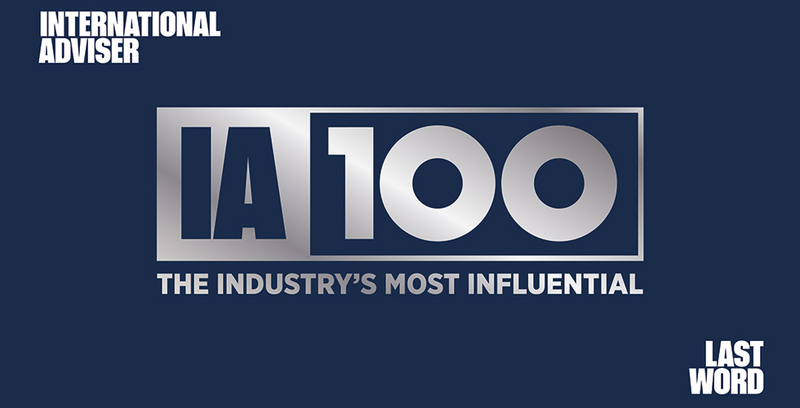 Areas of influence: ‘Being part of those first few firms that established the platform industry in the UK. We sometimes felt we were making it up as we went along but we all knew we would be different if we put the adviser firm at the centre of their relationship with clients. ‘I was then re-energised when I saw the opportunity and challenges that advisers face with internationally mobile clients, in jurisdictions around the world. An award-winning business leader and financial planner, David has been living and working in Asia for over 10 years and is responsible for The Fry Group’s activities in the region. With 20 years’ industry experience, as well as running the regional business, he also currently manages a portfolio of 50 private clients. He is committed and passionate about raising standards and transparency in the financial advisory industry in south-east Asia. Areas of influence: ‘One area I have been focusing on a great deal is raising the standard of financial planning advice in Singapore. It is dogged by bad practices, largely a result of firms doing things badly and using questionable methods and tactics to entice consumers to part ways with their savings. 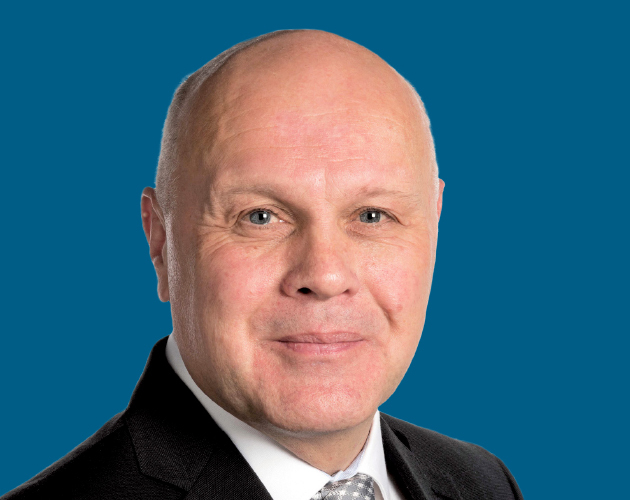 A recognised leader within the financial services sector, Keith has more than 30 years’ experience operating at executive level across manufacturing, distribution and intermediated professional advice. He has an established media profile and is a visible figurehead within the sector. 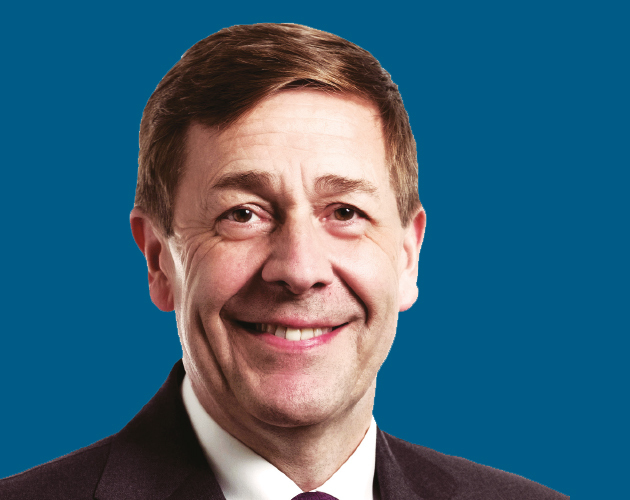 Keith was appointed CEO of the Personal Finance Society in May 2013 and subsequently appointed to the additional role of managing director of engagement for the Chartered Insurance Institute in August 2016. Areas of influence: ‘Leading significant reform of the PFS and being involved in major government and regulatory reforms while raising the profile of the advice profession. The PFS is regularly called upon by government and regulators ahead of formal consultations and works with key consumer groups. 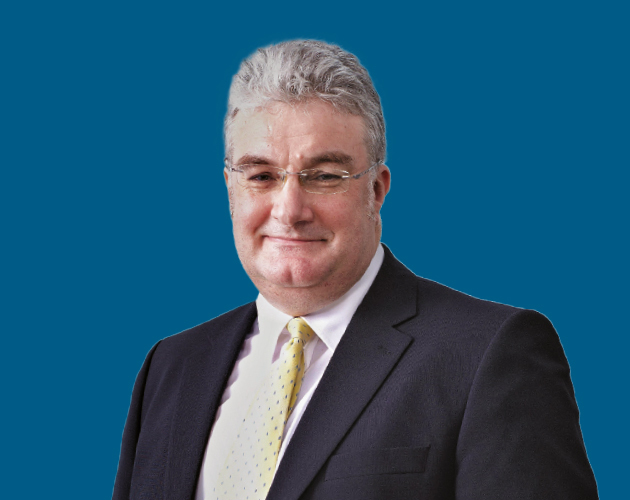 Richard’s introduction to international financial services began with a move to Hong Kong in 1987 to open the first Asia regional office for Britannia Group, later to become Invesco. Subsequent positions at Eagle Star Asia and as sales director for Skandia International for 14 years provided the platform for him to help build the Dominion Global Trends Funds and Dominion Capital Strategies savings and investment businesses. Areas of influence: ‘While it is comforting to engage with investors and savers with a similar culture and language, significant opportunities are missed due to an unwillingness or inability to adapt to the needs of local clients where it is possible to operate in a compliant manner. Ten years in Asia early in my career taught me that adapting our approach to meet the needs of different cultures pays real dividends. Joakim’s passion is to help people around the world to protect themselves and their families financially. He has seen how financial stress can tear families apart and wants to do what he can to reduce this. Besides his role at Custodian Life, he is also a partner and director in Calabasas, developing real estate projects in Spain. Areas of influence: ‘As a client and a customer to banks, insurance companies and other financial institutions, I have always felt something is missing. Investors of today are becoming more and more sophisticated. They demand increased transparency and to be in control of their investment decisions. ‘Custodian Life’s single product offering gives the client flexibility and full control. I believe we are on track to set a new industry standard, where the terms are mostly set by the client together with the financial adviser, tailor made for each client’s needs. ‘By adding an online trading platform with competitive real-time pricing and execution to the policy, instant trading across multiple asset classes is enabled, and that is an innovation in the industry. 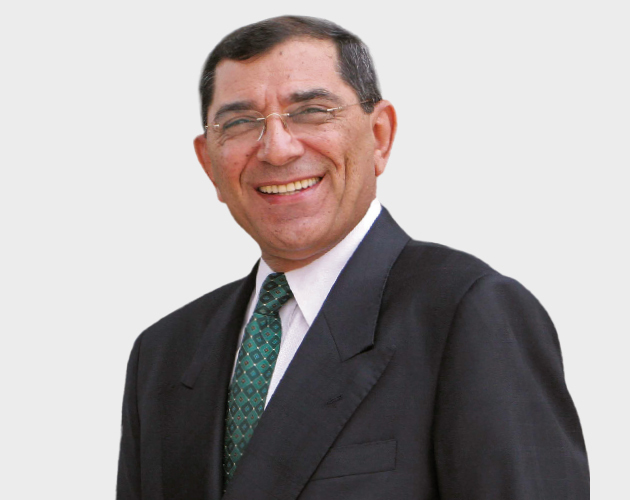 Founder of the Continental Group, Ashok has been advising on a range of financial solutions for over 35 years. He is a lifetime member of the Million Dollar Round Table (MDRT) and has been a ‘top of the table’ qualifier for 19 years. His views on insurance and financial services in the UAE have been published and heard on radio talkshows. Continental Group now has offices spread across UAE, Kuwait, Switzerland, India and Mauritius. Areas of influence: ‘I am a firm believer and avid supporter of the value of the MDRT, which provides for both personal and professional development. ‘The Continental Group is among the leading independent financial services organisations in the UAE. Under my leadership, it has grown from a three-member team to more than 200 qualified professionals, offering complete insurance and financial planning solutions. Hugh has accountability for relations between the insurance industry and the Bank of England on prudential regulation, for relations with the Financial Conduct Authority on conduct regulation and also for taxation issues affecting insurers. At the Association of British Insurers (ABI) he has held several assistant director roles, covering EU and international affairs, UK public affairs and ABI member relations and events. He was temporary director of investment affairs for 18 months before moving into his current role in 2012. He joined ABI in 2005 from the UK Department of Trade and Industry. 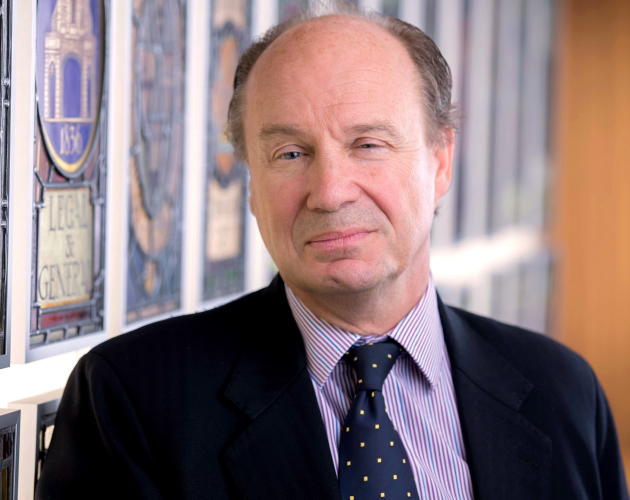 Hugh is a well-known insurance lobbyist at European and international level and a member of the Ecofin Committee of Insurance Europe. He also chairs the capital task force of the Global Federation of Insurance Associations. 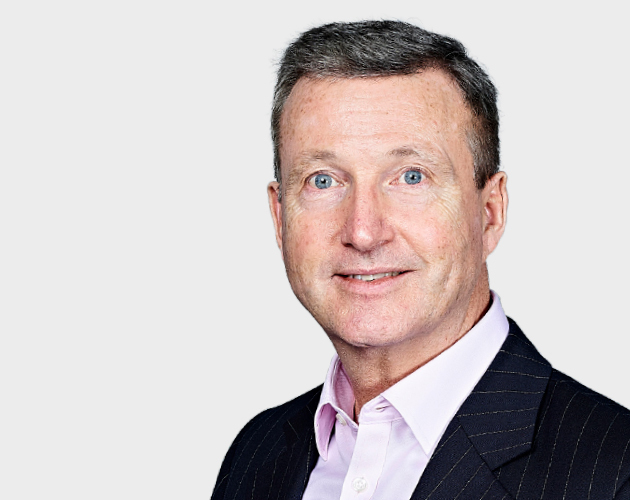 Tim is a former Royal Naval officer, serving for eight years, and now chairman of one of the best-known offshore financial planning companies. 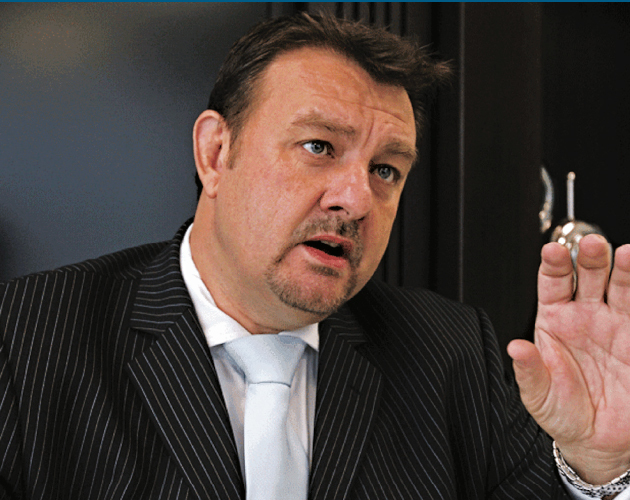 Before establishing Globaleye in 1999, he was managing director of wealth management firm Fletcher Young & Associates. Areas of influence: ‘We have been always in front in terms of IT proposition in an industry that is in the dark ages, technically speaking. We deploy technology to reduce cost, increase efficiency, enhance client proposition and ultimately to make us look better. 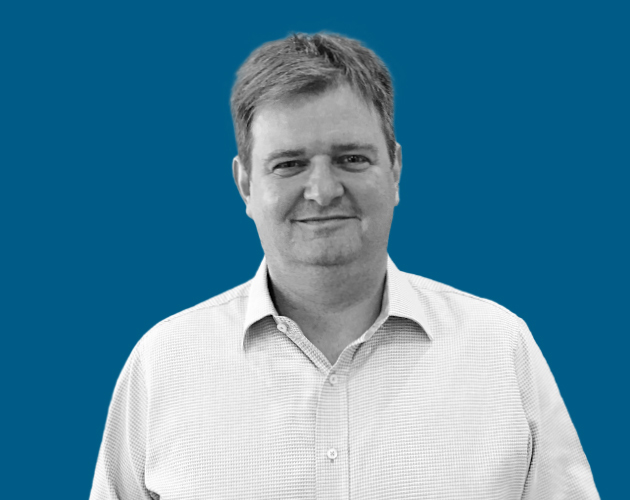 Nigel is founder of Insight Discovery, a UAE-based consultancy business that supports financial services companies with market intelligence and strategic communications. He moved to the Middle East in 2001, initially to establish a joint venture for Bank of New York Mellon. More than 17 years later, he is still living and working in the region. 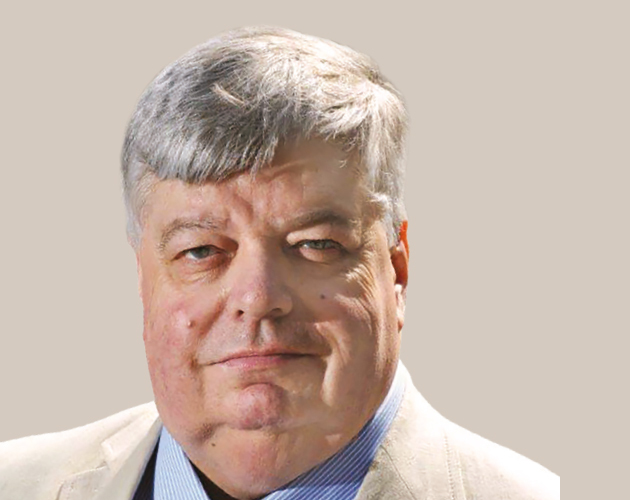 Nigel is also on the advisory board of CISI Middle East and a director of Peregrine Communications. Areas of influence: ‘I am most proud of establishing Insight Discovery in 2009. I believe we have been influential in changing the research consultancy landscape in the Middle East. The insight delivered through our bespoke business has assisted both asset managers and life insurance companies to understand its customers and distribution channels. ‘One particular report that helps to showcase influential thought leadership is Middle East Investment Panorama, which has been published annually since 2010. 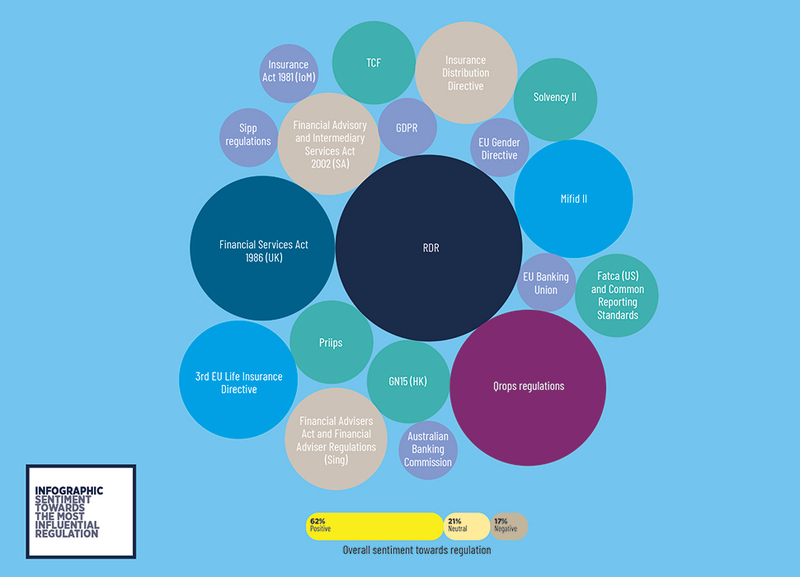 The report helps the industry by providing unique insight into the latest trends and the changing regulatory landscape. Nick started out in the industry in October 1987 with Prudential UK, where he worked for five years learning the basics. He subsequently moved to Winterthur Life, overseeing a network of advisers in the UK as a regional manager. 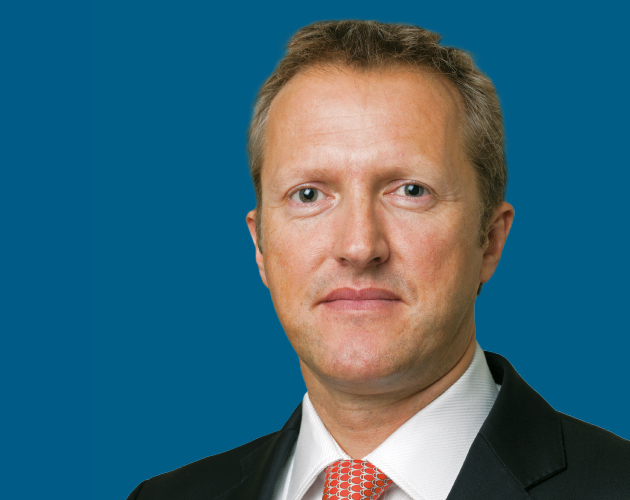 He joined Devere in Hong Kong in 2002, where he held several management positions. 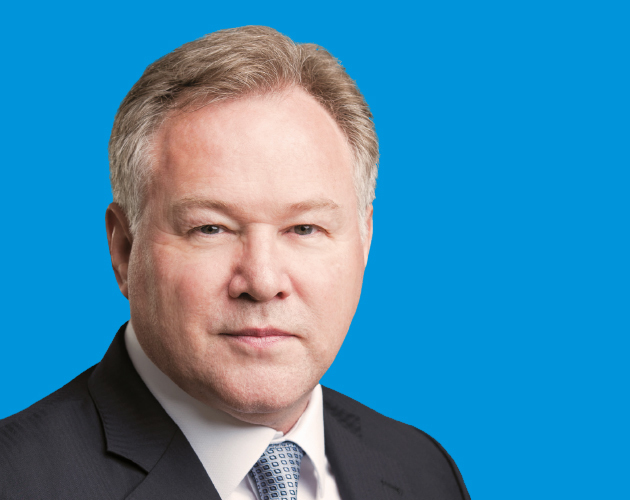 Following a brief tenure as CEO, Hong Kong, he left in 2012 to help create the Taylor Brunswick Group. Areas of influence: ‘Most recently it is in the shared creation and partnership of the Taylor Brunswick Group, building the company from the base up to a successful and progressive business. ‘The most rewarding areas are the mentoring and development of some key individuals within the industry. Derek began his journey in the financial services industry with the Yorkshire in 1966, working at several other firms before starting a brokerage, the Financial Group, in 1987. 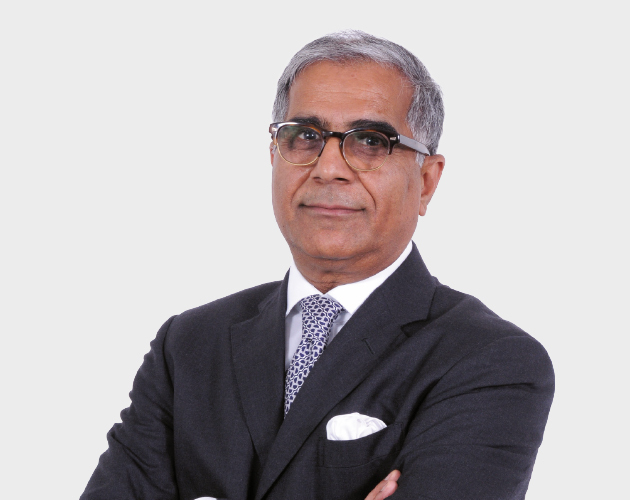 He was the key initiator of the world’s first umbrella fund administration company, Total Care Strategy (TCS), which led to the first-of-its-kind registration of Umbrella Fund Rules in 1989 by the FSCA regulators. In 1999, TCS was sold to Sanlam Employee Benefits to become Sanlam Umbrella Fund Administrators. He is still chairman of the board of trustees. In 2011, he launched the informal South African Independent Financial Advisors Association (Saifaa). ‘The voice of the IFA’, Saifaa became a fully fledged industry body in August 2017 and now has in excess of 111 founder members. 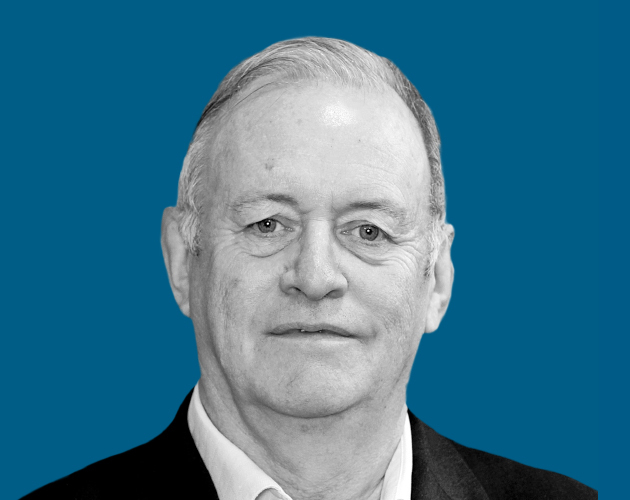 Paul has worked in the financial services industry for over a quarter of a century, and presently operates as CEO of FEIFA and Secretary General of FECIF, two pan-European trade associations that support and assist the financial advisory sector. In addition, he runs a specialist consultancy business, which provides marketing, business development services and regulatory guidance for investment houses, trust companies, international pension providers and advisory firms. Prior to his appointment as chairman of Blevins Franks in 2012, John created and launched Lombard International Assurance, Luxembourg in 1991. This was the first truly pan-European life company, operating cross-border in all major EU countries. He retired from Lombard in 2011. John has also established a family foundation focused primarily on water and sanitation programmes in the developing world and support for organisations in the UK helping disadvantaged youths and people suffering from mental illness. 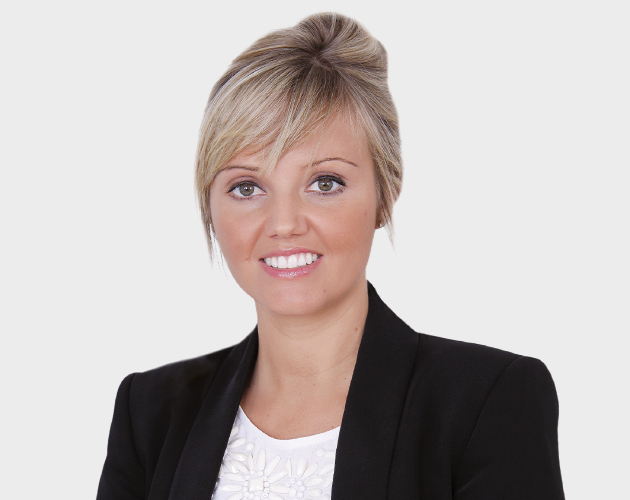 Danielle is managing director of the award-winning wealth management company Finsbury Associates, part of the wider Blue Sky Thinking Group, a UAE-based holding group. She has 13 years’ experience within financial services and frequently consults with government bodies and regulators. She holds qualifications with the Chartered Insurance Institute and Chartered Institute of Securities and Investments as well as the Financial Services Board in South Africa. Christopher has a distinguished and commendable career portfolio, acquired throughout his 26 years in the financial services industry. 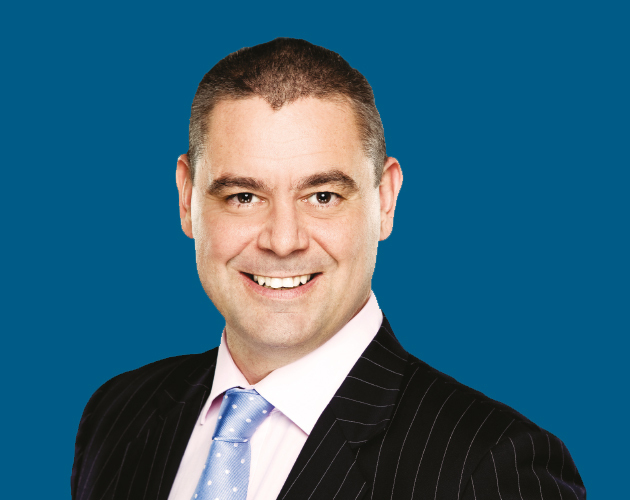 He has worked with some of the leading global and local insurance, banking and/or financial advisory franchises. While holding those key senior management positions, he has also made an effort to contribute back into the industry via his active participations either in financial sector associations or work groups. Areas of influence: ‘The PIAS is an unequivocal leader in the Singapore financial advice space, and the number of adviser representatives has grown by over 50% to more than 650 today. ‘Following the implementation of the Fair Dealings Recommendation by the local regulators, PIAS has also remodelled its business structure and changed its partnership arrangement with its product providers to better support its organic growth, as well as to capitalise on new growth potential. Graham was employed in the UK banking sector for 29 years and then moved into financial services. In 2004, he set up his own IFA company together with a former colleague. Graham holds the UK Diploma 4 qualification, so can advise clients in the UK and provide up-to-date advice to expat clients in the UAE. In 2013, he set up Abacus Financial Consultants with four other founding partners. 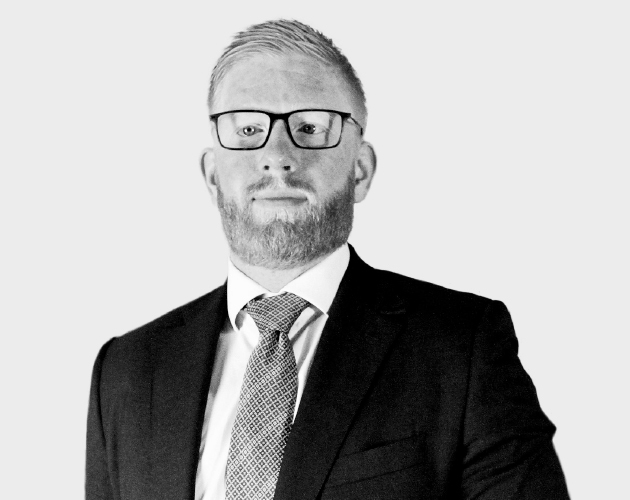 Areas of influence: ‘When creating Abacus Financial Consultants we wanted to be different from other firms in the region, so chose to work along the same lines as a UK IFA, where all advice is transparent and confirmed in writing and all charges are explicit. ‘With so many changes in the Middle East we decided to create a new investment savings plan that has lower costs than traditional plans. It also provides clients with total flexibility, which is so important for expats. Tom is founder of the Forth Capital Group and a board member of Next Generation Investment Strategies Icav. He is a regular market commentator and often quoted in the financial press. Before creating Forth Capital, he gathered two decades of experience in wealth management, at Bank of America, Royal Bank of Scotland and Standard Life. He formed Forth Capital (Genève) in 2004, FC (HK) in 2012 and FC Europe in 2013. Forth Capital (Australia) and (USA) are scheduled for launch in January 2019. Areas of influence: ‘Launching with Next Gen Investment Strategies, partnering with Morningstar, passive instruments with a focus on low-cost, long-term performance, five risk-rated portfolios and four major currencies. Bill has been in financial services all his working life and involved in the platform industry since it began in 2000. He played a big role in the launch of the first platform to utilise true straight-through processing and has been a part of the offshore platform industry for the past four years. Prior to 2000, he worked in fund management. Areas of influence: ‘There have been some key moments in my career when I have helped change the market. In one of my previous roles I persuaded my employer to pull out of the endowment mortgage market, which led to the end of a major product line. ‘Recently I have been the architect behind several successful platform launches. These have included the original Cofunds platform, the launch of Selestia in 2001, Novia, three platforms for Aegon and, most recently, the innovative and ground-breaking Novia Global platform. 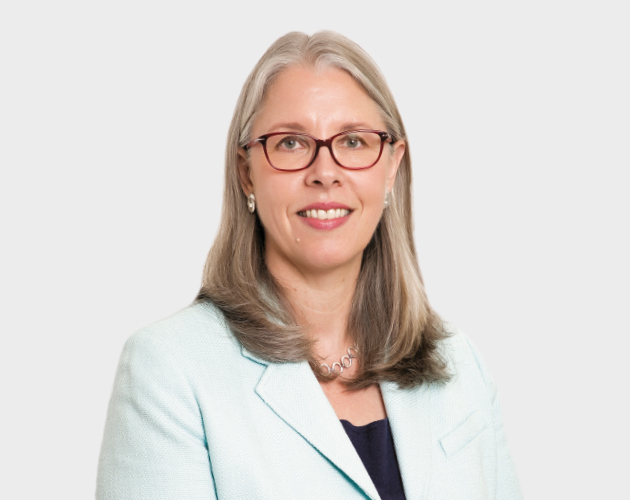 Denise was appointed chairman of the Association of the Luxembourg Fund Industry (Alfi) in June 2015, and re-elected for a second two-year mandate in June 2017. Denise, who has worked in the financial industry in Luxembourg since 1990, is not only the first woman to hold the position but also the first professional from an asset management firm to take on the role. She is also currently director and conducting officer of Franklin Templeton International Services. Prior to this, she worked in the audit division of Coopers & Lybrand in Boston, USA, and Luxembourg for over nine years. 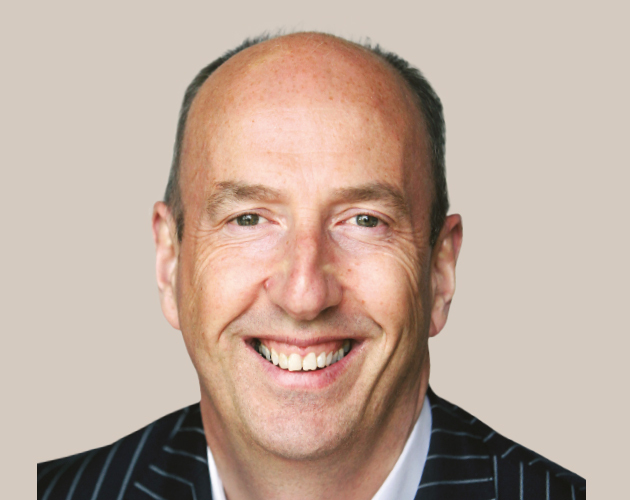 Nigel is a sales professional with 31 years’ finance sector experience. 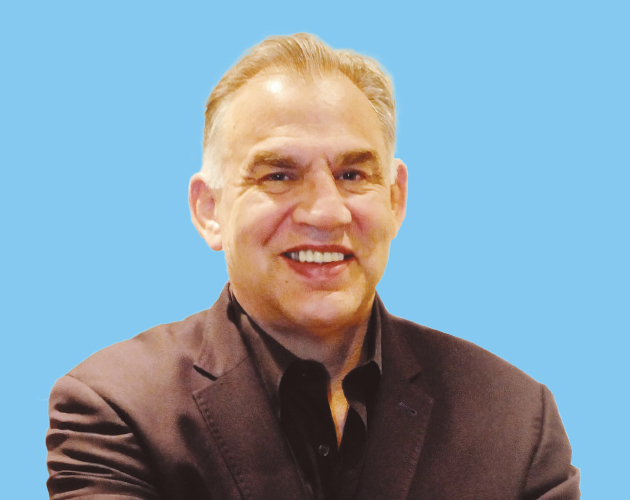 He has in-depth experience of establishing distribution relationships with all major financial adviser firms, cross-border life companies, platforms, Qrops and trust company providers, as well as family offices and other wholesale channel money managers. He has raised significant assets in the offshore life, funds and banking sectors. 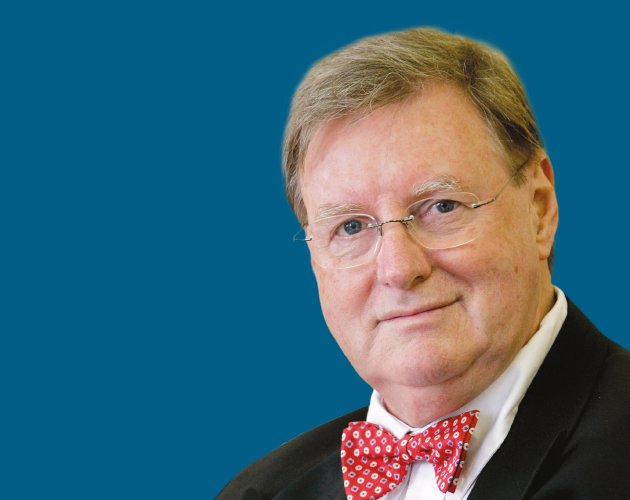 Areas of influence: ‘I entered the industry as a life insurance salesman in the 1980s. Although all through my career I have been involved in a variety of other products, I know the first and most fundamental financial advice is to maintain and review life insurance needs. It’s the cornerstone of our industry but so often ignored. 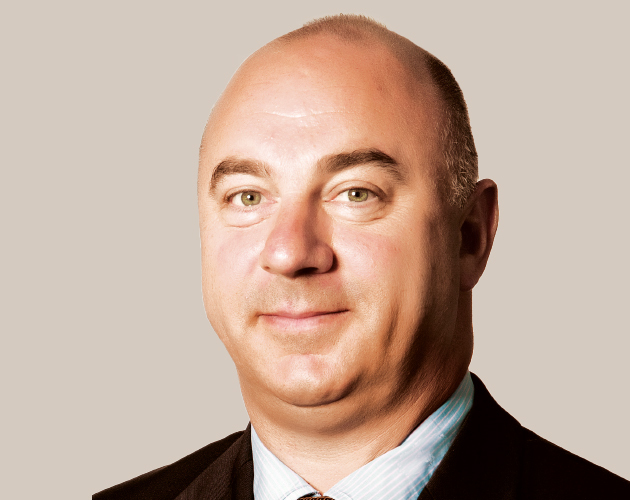 Prior to founding Blacktower in 1986, John worked for Schroders in London. In the early days of Blacktower he took responsibility for driving forward the company’s international business model. It has now evolved into the Blacktower Group, a range of companies operating globally, using its own independent IFA network, Nexus Global. In recent years it has launched its own range of funds, providing greater depth and scope to its business model and safe management of clients assets. 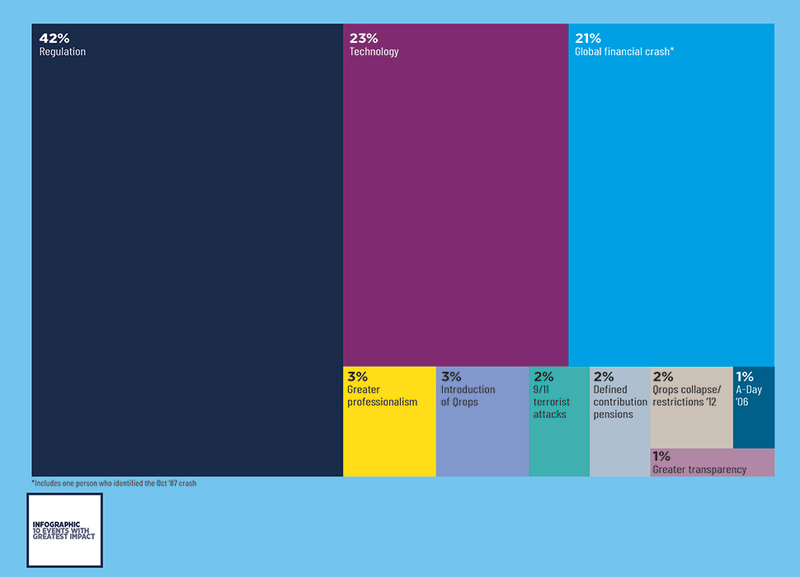 Areas of influence: ‘Having been involved in financial services for over 35 years we have seen considerable change. I believe through the activities of my company we have been at the forefront of areas of product design and distribution. ‘Within the industry there has been change both in the regulatory landscape and in terms of the professionalism expected of us. This has helped drive the raising of standards across markets. 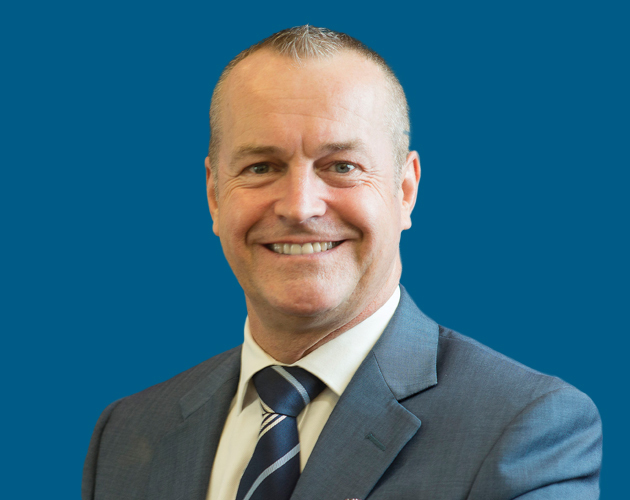 Simon began his career working at Royal Life Insurance between 1982 and 1992, after which he moved to Scottish Provident International, where he remained until 2000. He was at Marsh & McLennan until 2001 and at Acuity Consultants between 2002 and 2012. 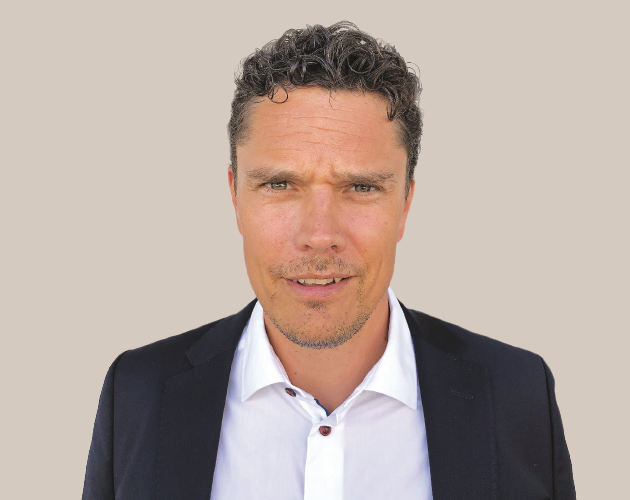 He joined Axa Wealth International in 2012 and has been at Acuity Corporate Consulting from 2018 to present. Jeremy has been in the financial business since 1988, and has been with the Fry Group since 2004, where he is the company’s pension specialist. He is also a regular contributor to radio and newspaper articles on financial planning issues. 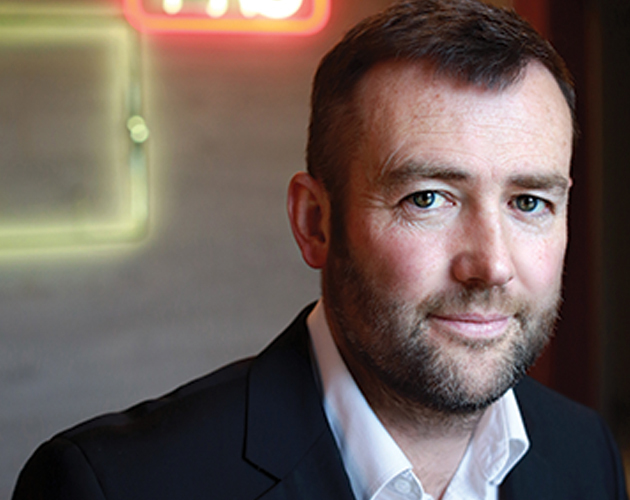 He previously performed the roles of The Fry Group’s UK director and, more recently, sales and marketing director. Areas of influence: ‘Leading the project to create our own fund management joint venture, including developing the investment mandate, drawing on my experience of all the issues the industry has faced over the past few years. Stuart has always been focused on finance. He has played an integral role in developing a qualification pathway in Malaysia, while sitting on the Labuan International Insurance Association council. He has been a keynote speaker for KPMG, CBRE and has appeared on Capital TV to talk about financial markets. He recently launched Algebra, which is currently the best-performing ‘robo’ adviser in Asia. Areas of influence: ‘Before my time on the council, there was very little in the way of qualifications for brokers through Labuan. There is now a fully fledged pathway that ensures advisers are qualified to do the job. This has not only encompassed a matrix that allows global qualifications to be accepted but also ensures advisers meet CPD requirements each year. Andy joined CGWM in 2002 and, with over 35 years’ experience, he is a sought-after speaker at industry events. Andy is a Director of CGIF Plc, an Irish UCITS umbrella fund; a Director of Canaccord Genuity Management Company; and a member of Canaccord Genuity Wealth (International) Limited’s executive committee. 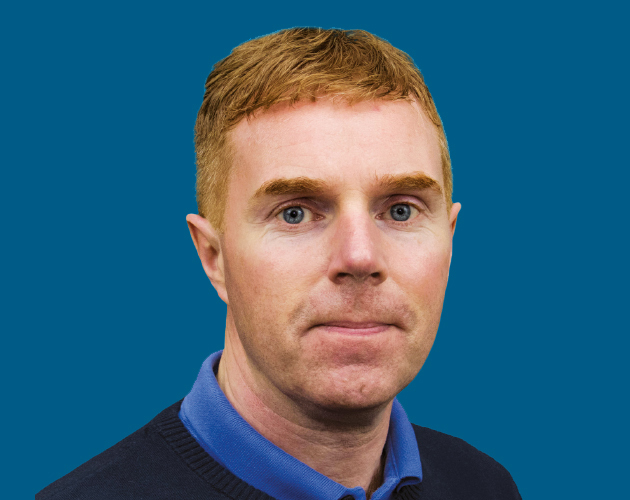 Andy started his career with Lloyds Bank before moving to Standard Life and then to Allied Dunbar/Zurich Financial Services, where he spent 12 years culminating as regional sales manager for the Channel Islands and the Isle of Man. At present, I combine the role of Head of Wealth Management, Guernsey with leading the CGWM Funds business. Areas of influence: ‘In my 16 years with the company, I have been fortunate to undertake various leadership positions, which have afforded me the opportunity to learn new skills and grow as an individual. However, my biggest area of influence is with my colleagues. My ‘Captain Class’ leadership style has helped develop close knit teams, reinforcing the belief that a positive culture leads to a higher level of achievement, fulfilment and success for all team members. 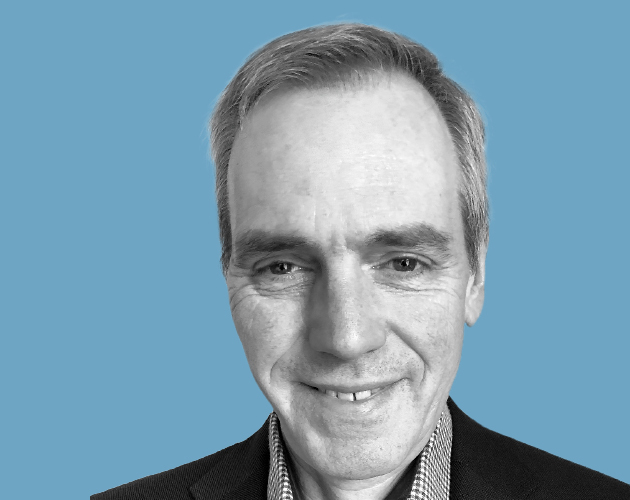 Roger is a qualified accountant, who trained with KPMG and has 35 years of fiduciary and accountancy experience. He is the managing director and majority shareholder of the Concept Group. 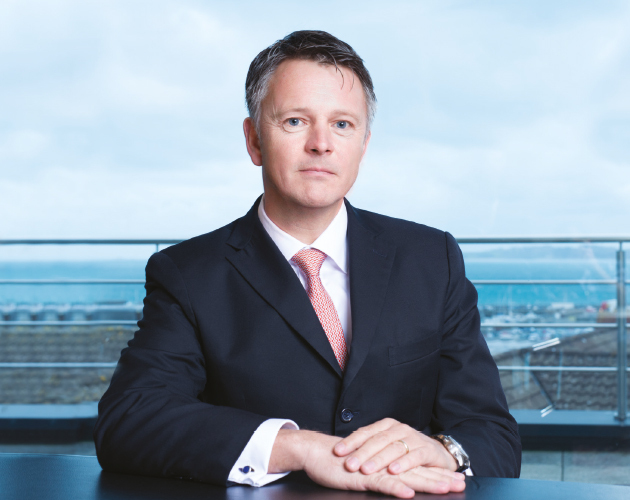 He has sat on numerous pension committees with the Guernsey regulator and chaired the Guernsey Association of Pension Providers Qrops sub-committee and the Code of Practice Qrops Group. He also sits on the UK Pension Scams Industry Group. 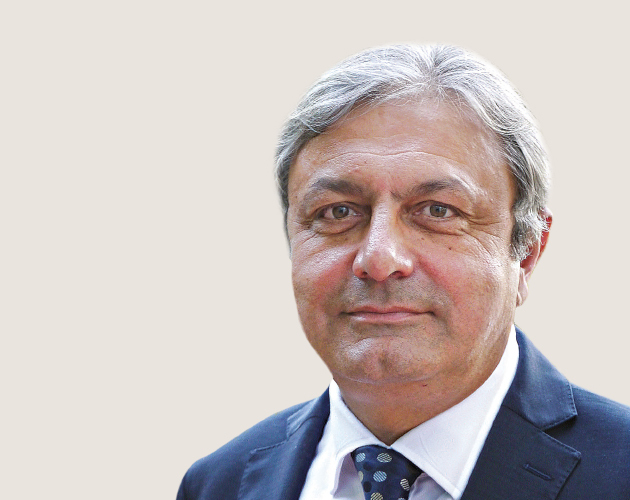 Beginning his career with AIG in 1974, Mahmoud moved to the UK as sales manager in 1979. After holding various senior leadership roles he relocated to Dubai in 1982. In 1989, he established Eagle Star International brokerage in the UAE and Bahrain, which evolved into Eagle Star International Life. 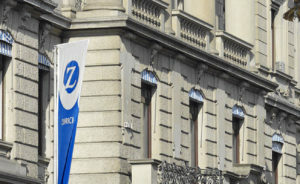 In 1997, Zurich Financial Services and Eagle Star merged and became Zurich International Life. Mahmoud held the position of MD for the Middle East until 2006, when he led a management buyout of the ZIL Direct Distribution network in the Middle East and founded Nexus Insurance Brokers and Nexus Financial Services. Areas of influence: ‘A long-term involvement in helping to create new training and development opportunities for financial professionals in the Middle East led to being appointed international vice- president by the Chartered Insurance Institute in 2007. Evolution happens slowly over time. But there are some individuals that help quicken the pace of change. International financial services is comprised of a variety of people with a wealth of experience, which is reflected in International Adviser’s list of movers and shakers, together with the key influences that are reshaping the sector. 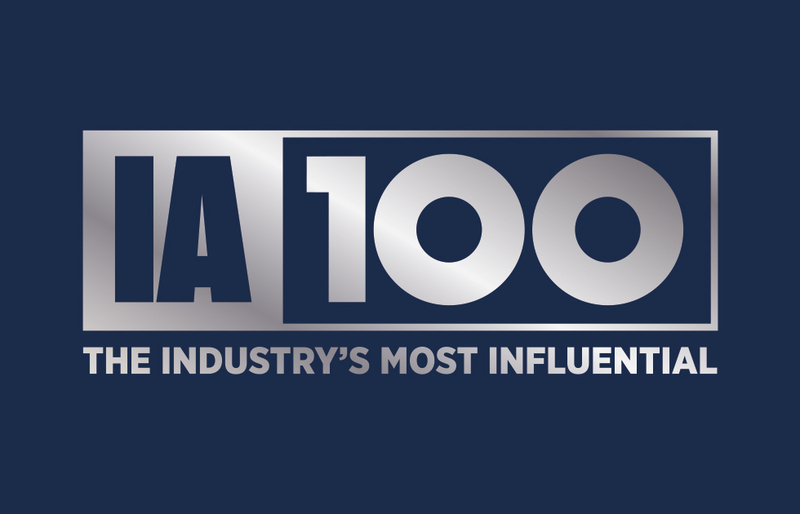 The industry leaders listed in this publication have in common a passion for the industry and a determination to have a positive impact. However, they cite a diverse range of influences. 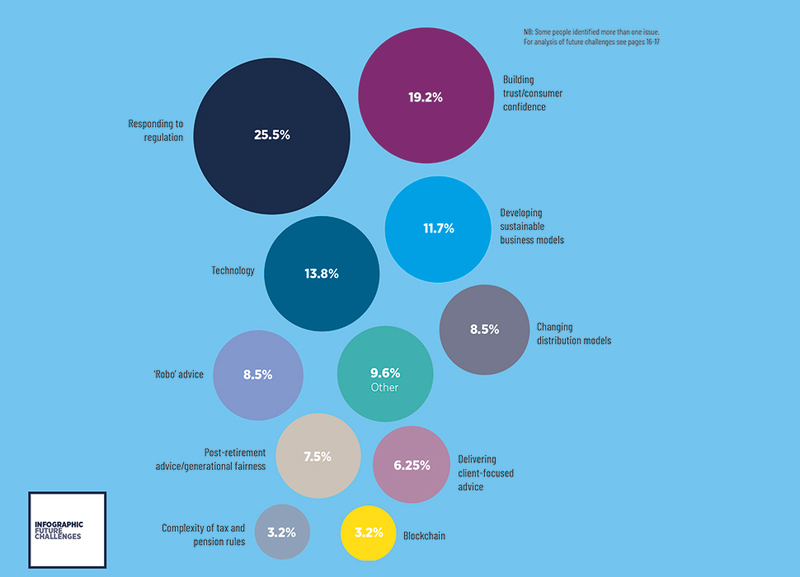 Almost half of the key influencers listed on the following pages identify regulation as the biggest driver of change and an overwhelming majority view it as a positive catalyst for making them fit for future challenges. 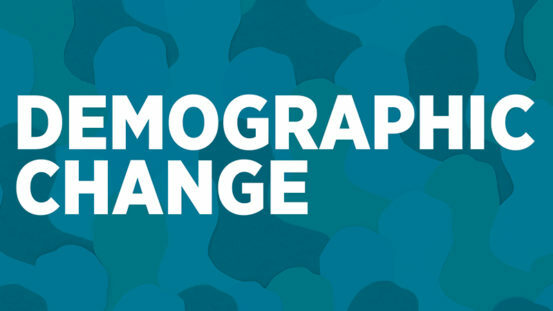 The ageing populations of developed countries pose a major challenge for advisers, especially as a high proportion of the expat market is in the older age bracket. The trend towards higher life expectancy has been strong since the middle of the last century, but in many countries it has now reached a tipping point as the upward swing in the older age groups meets a downward trend in birthrates. Don’t work for recognition, but do work worthy of recognition……..